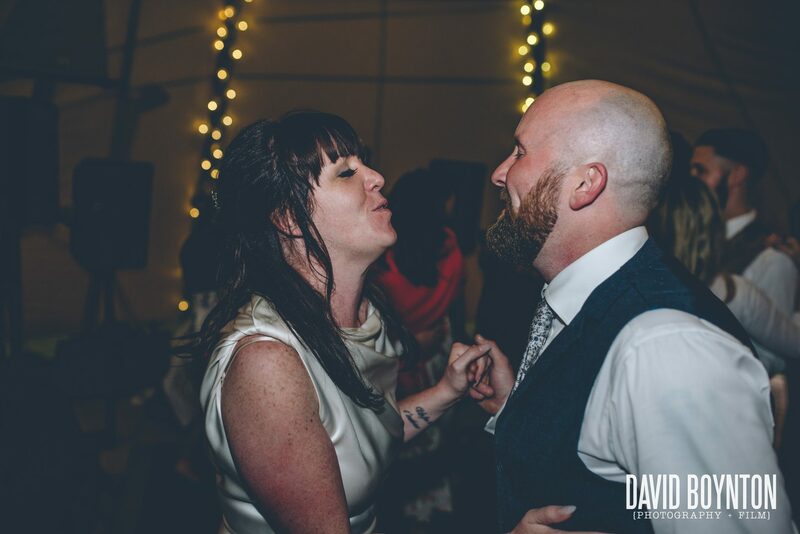 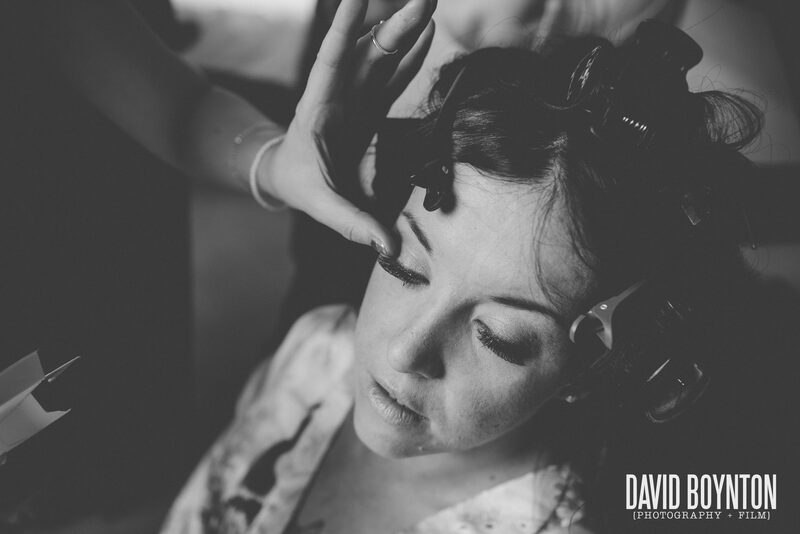 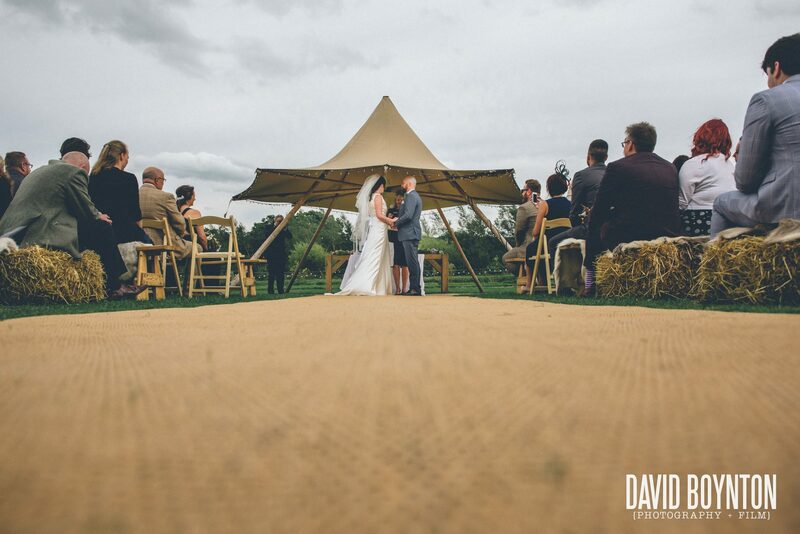 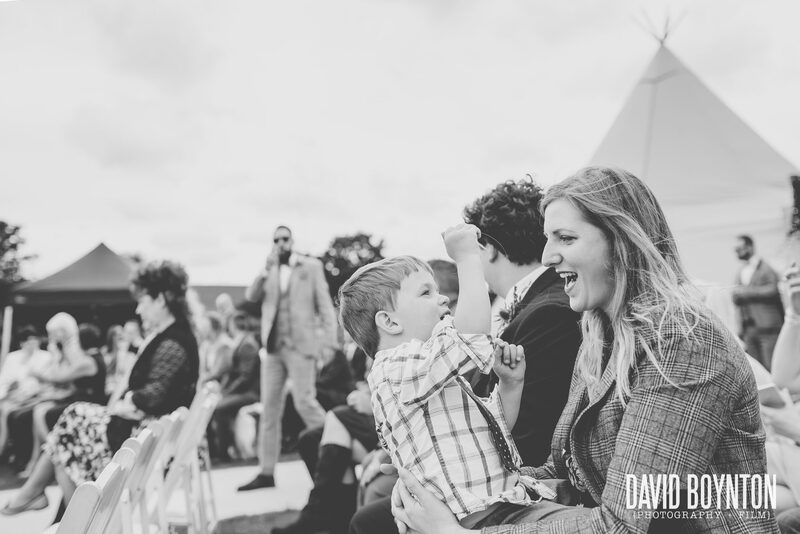 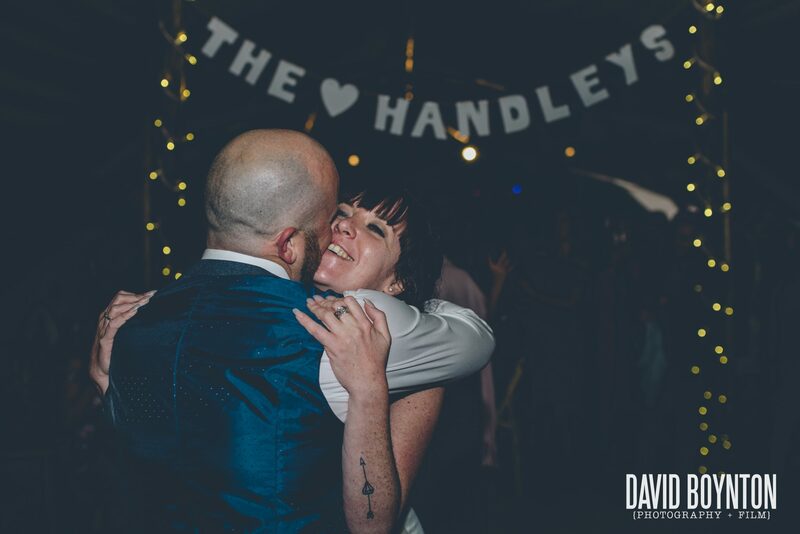 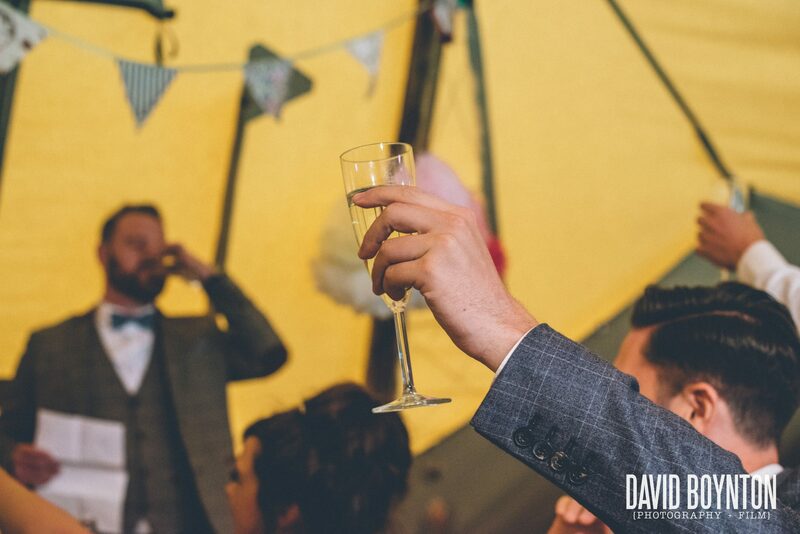 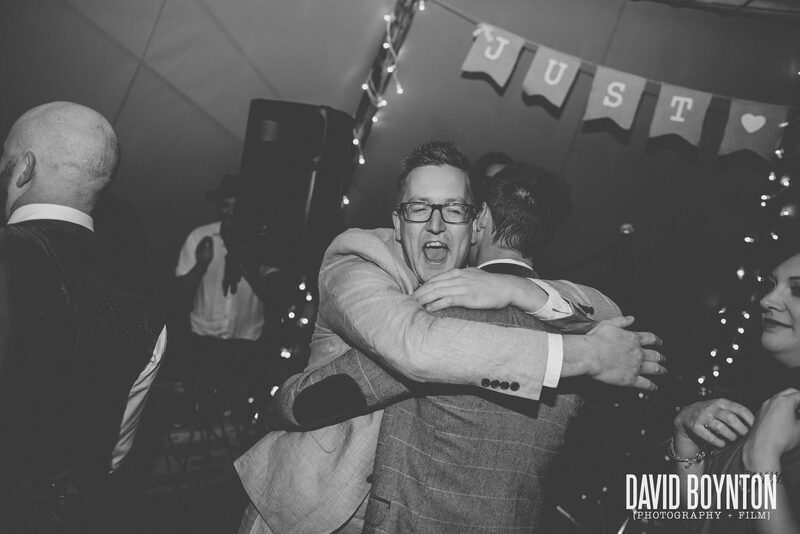 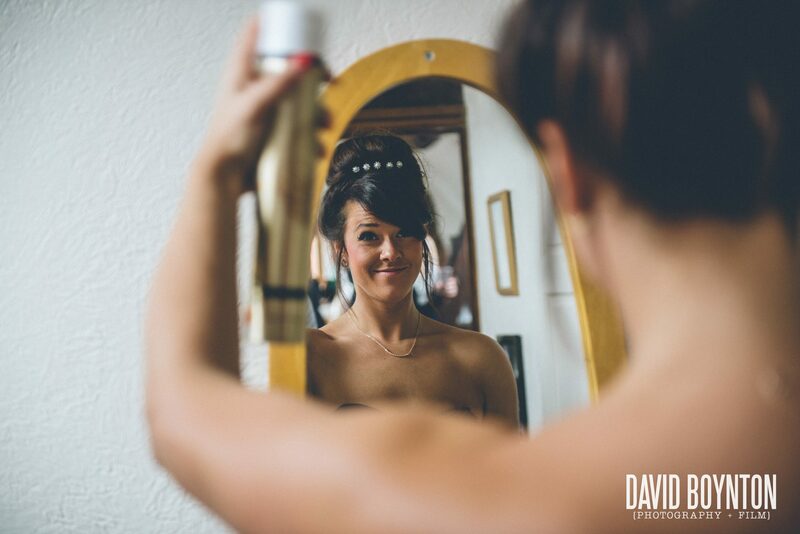 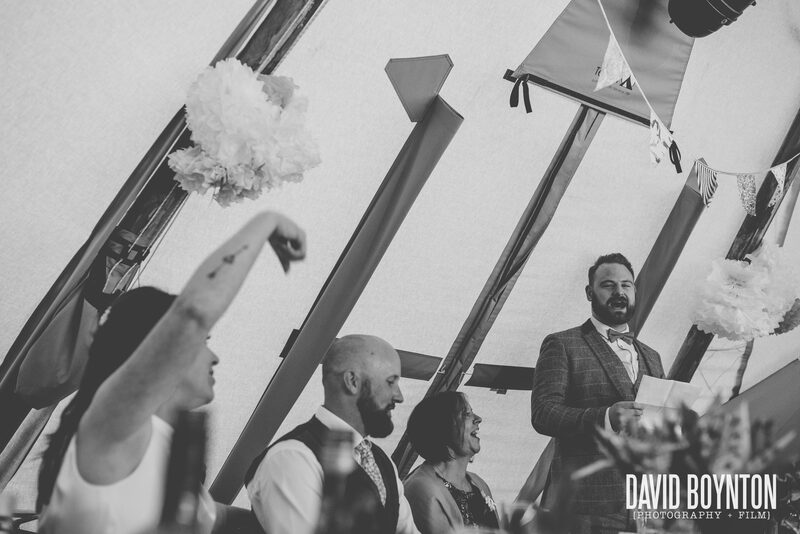 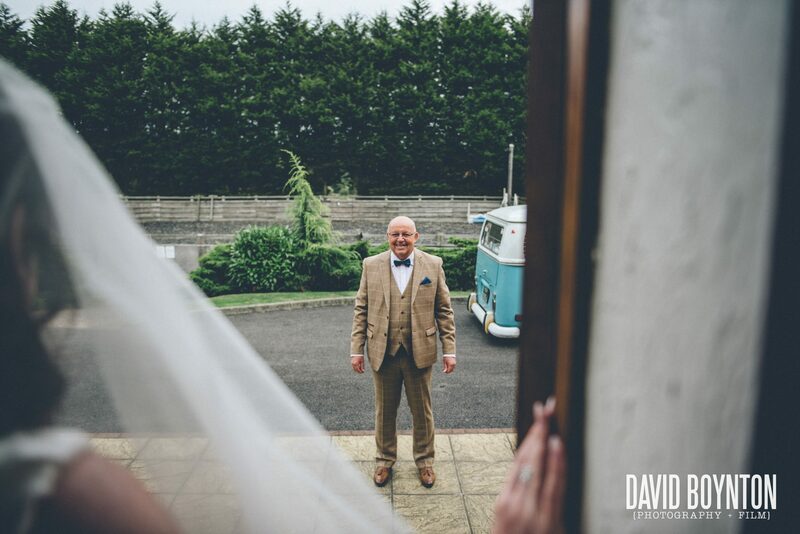 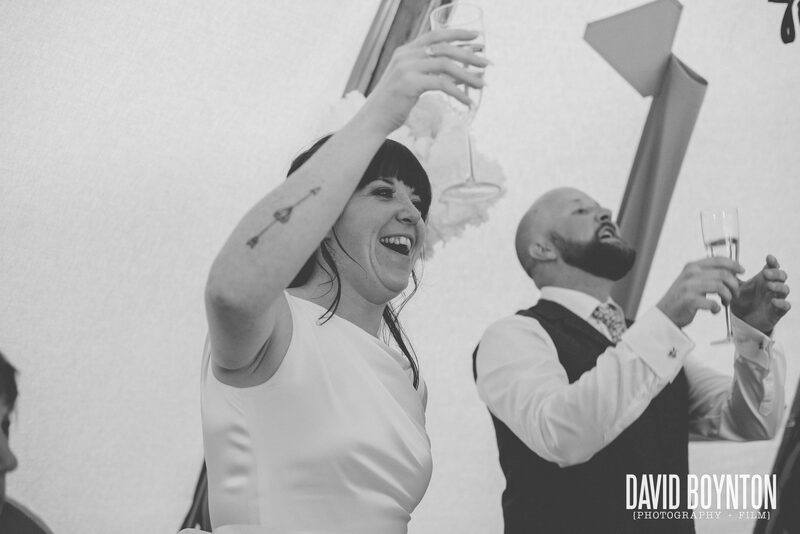 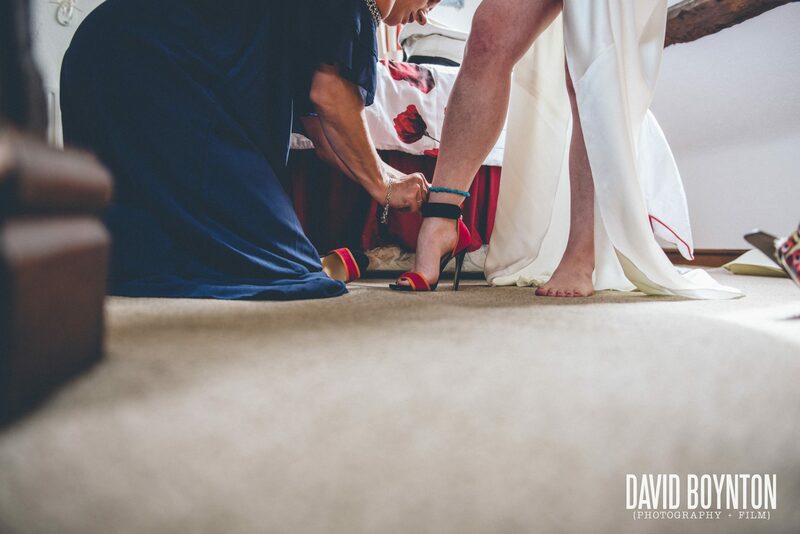 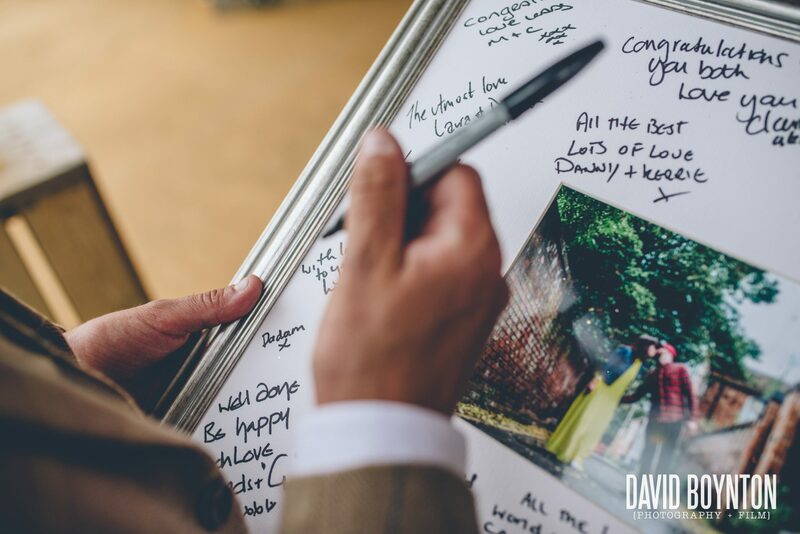 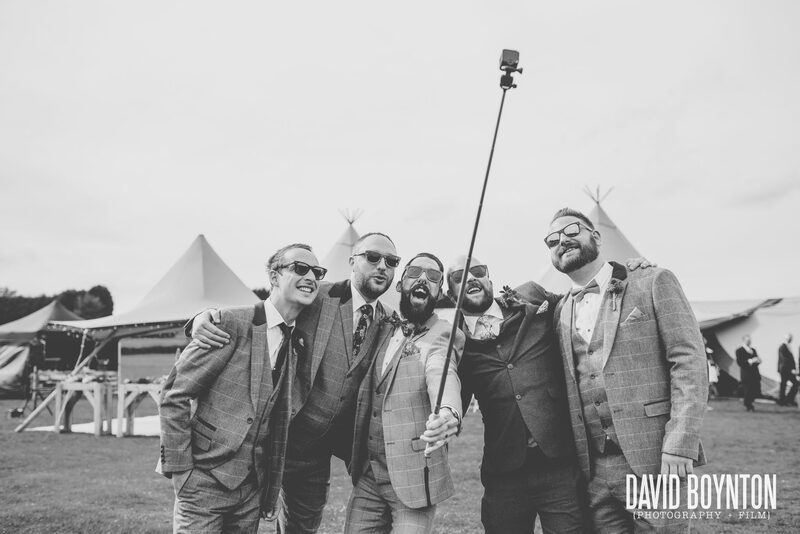 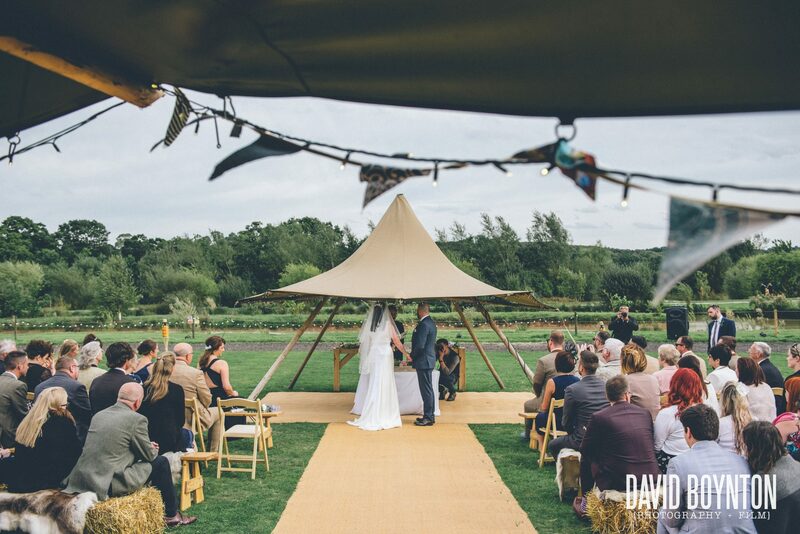 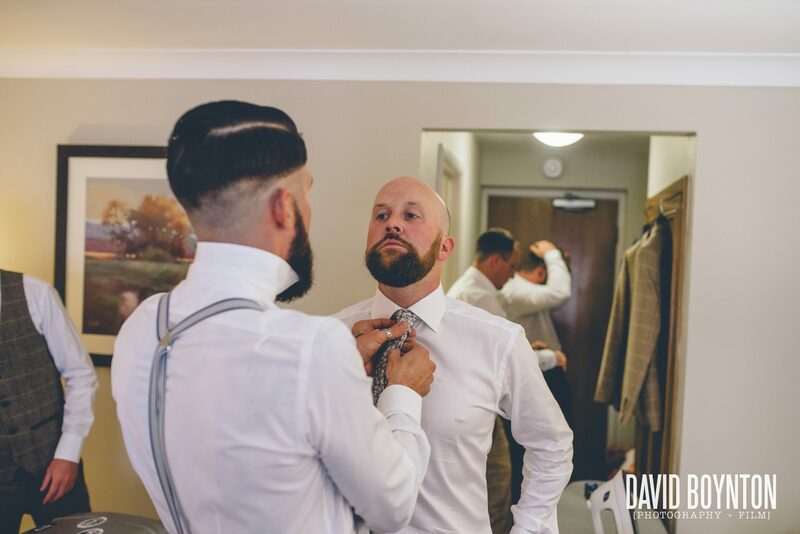 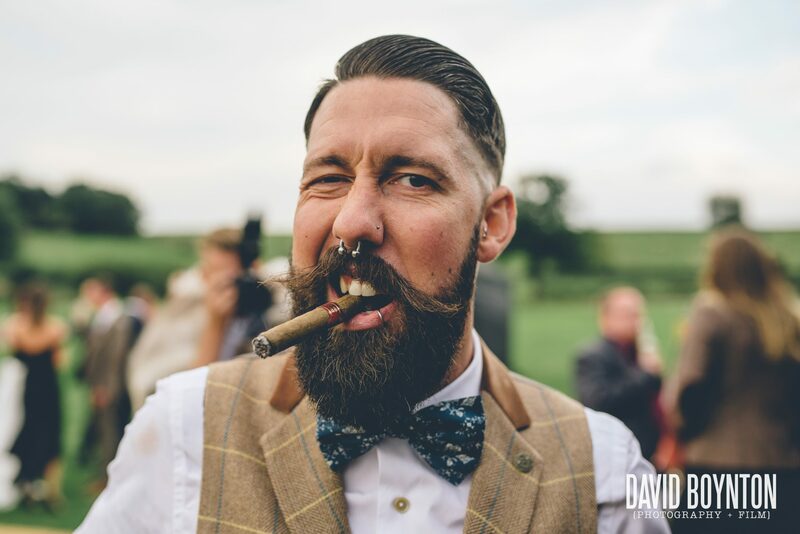 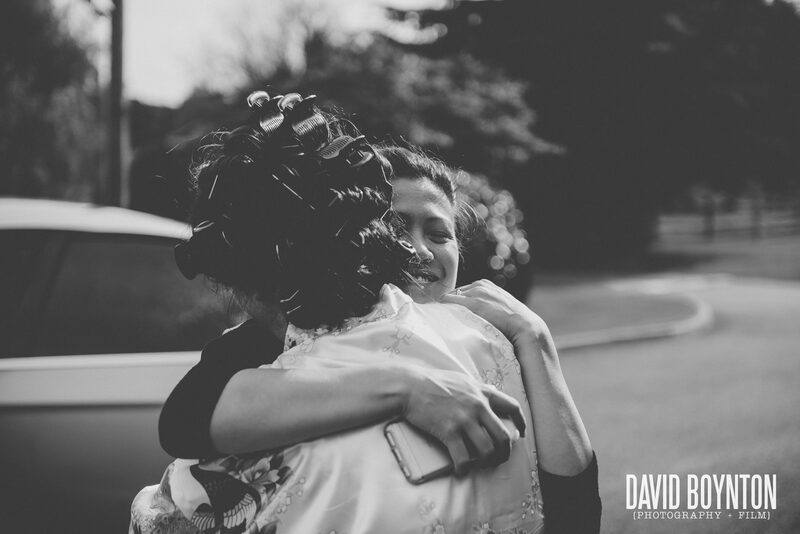 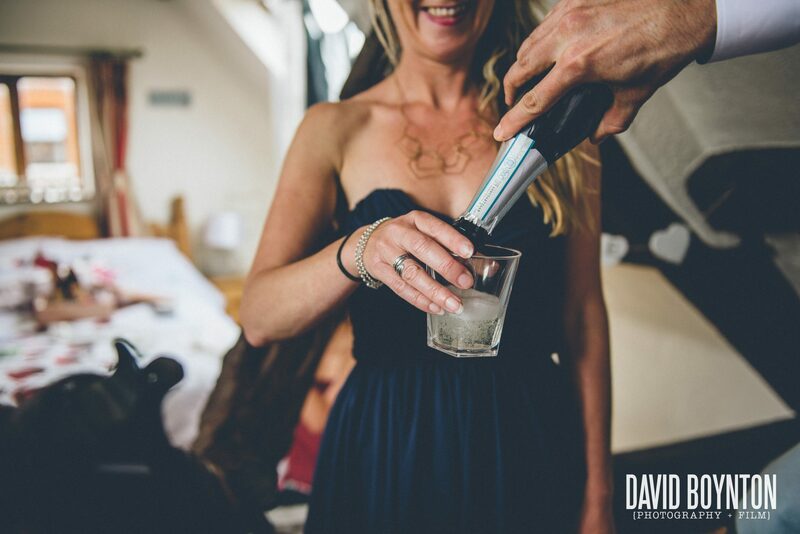 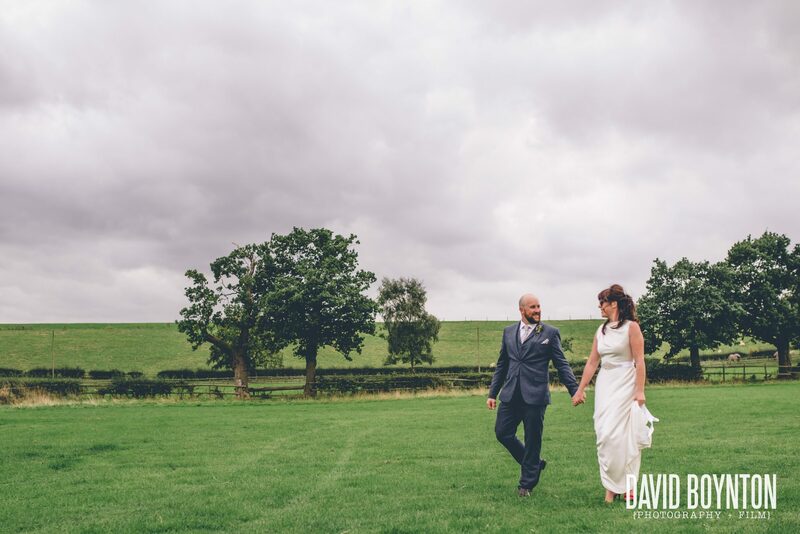 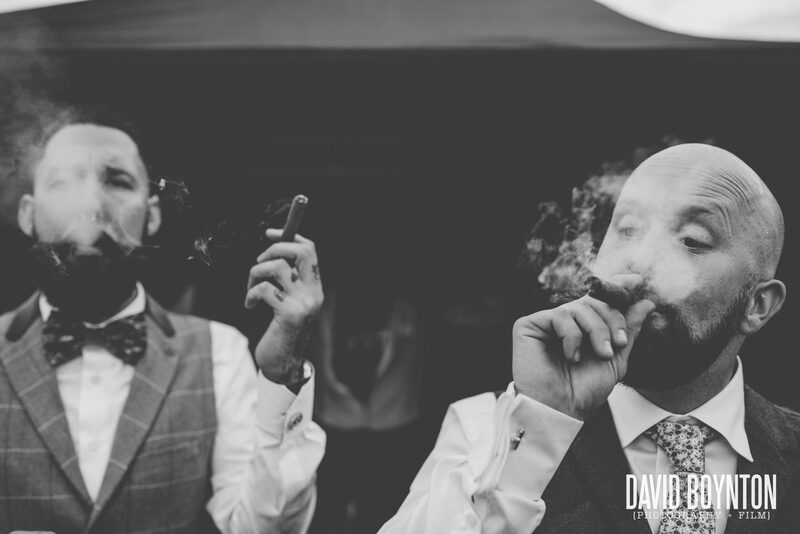 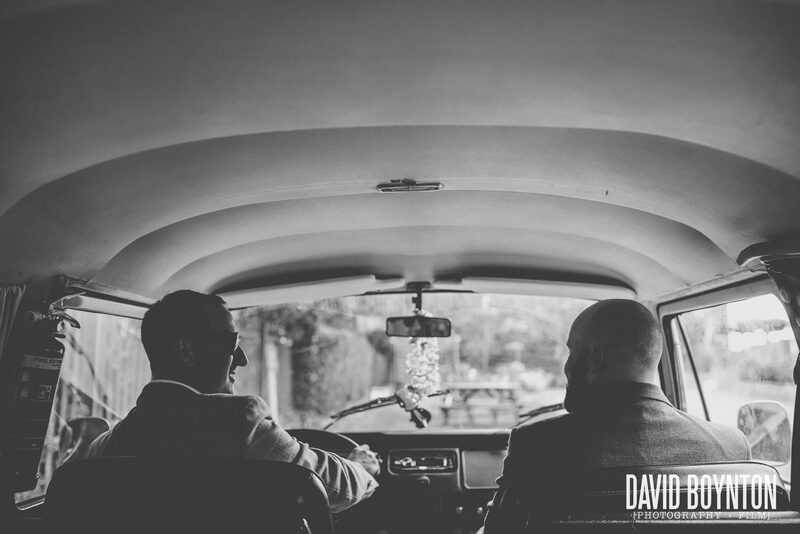 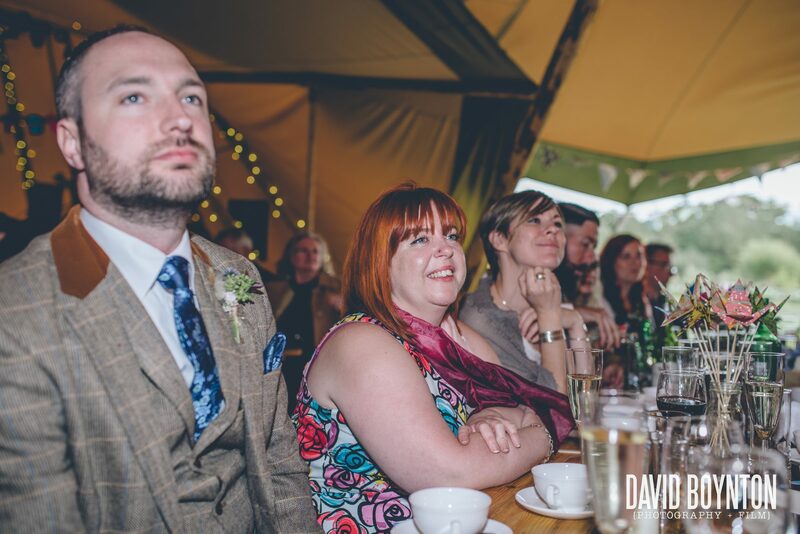 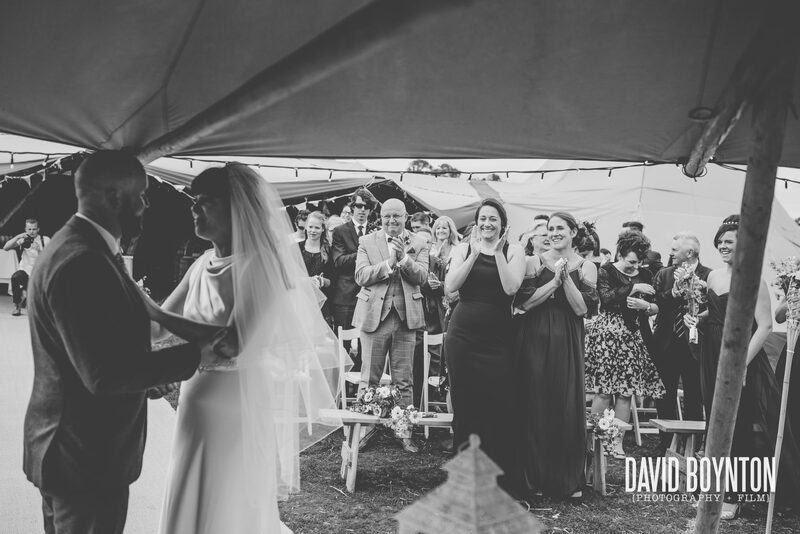 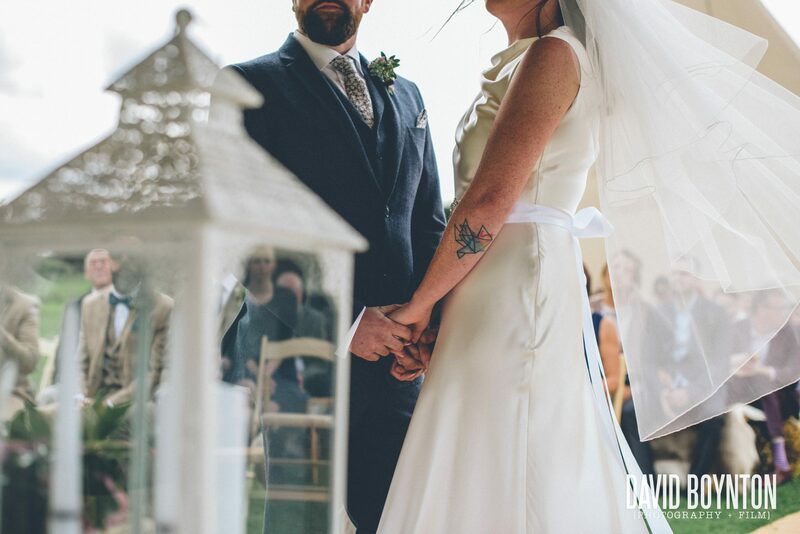 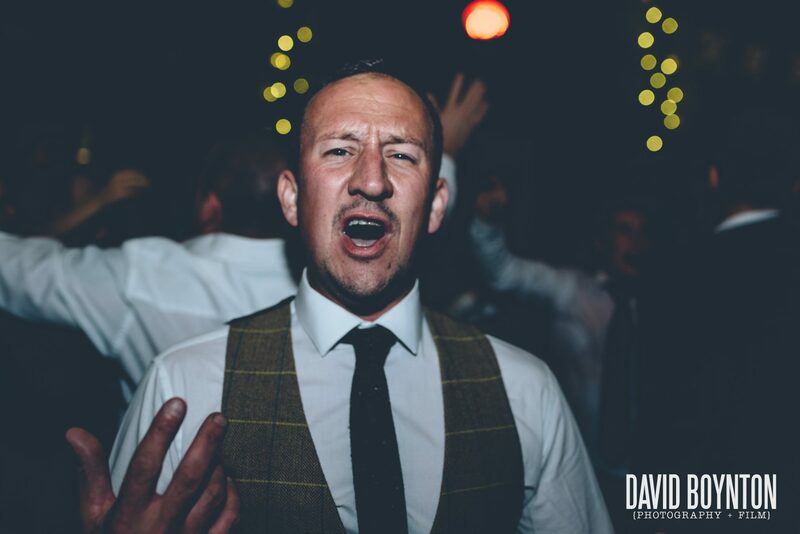 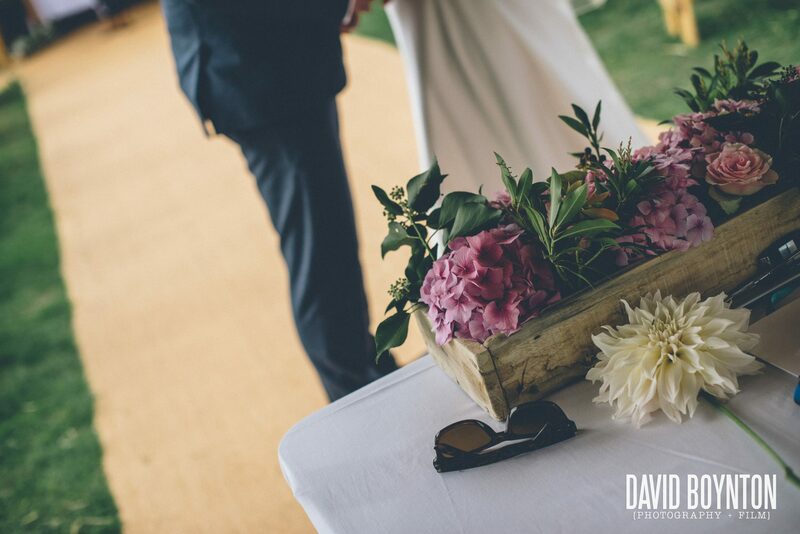 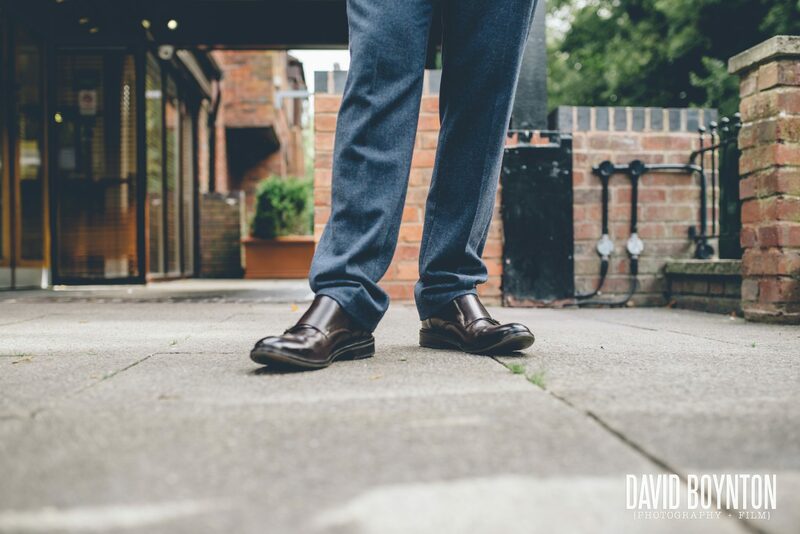 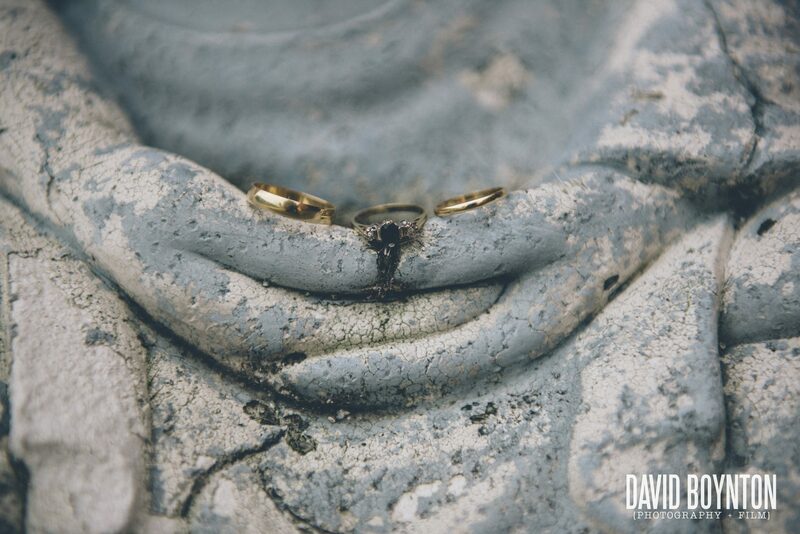 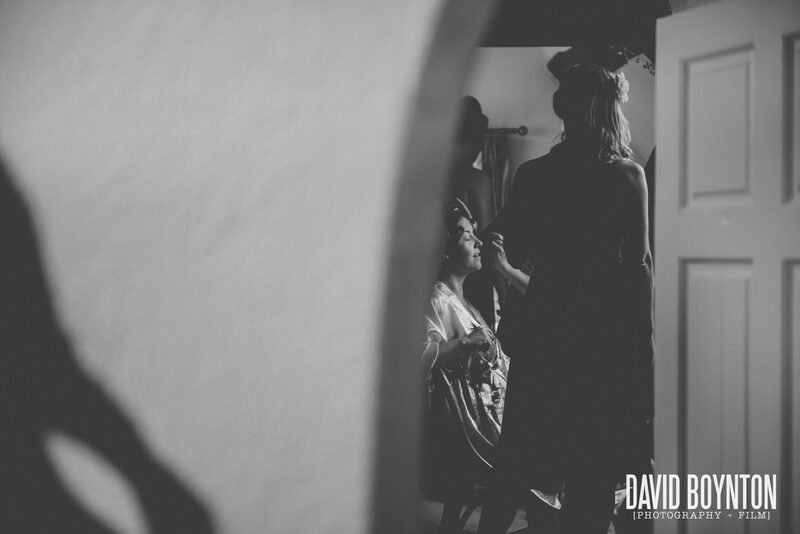 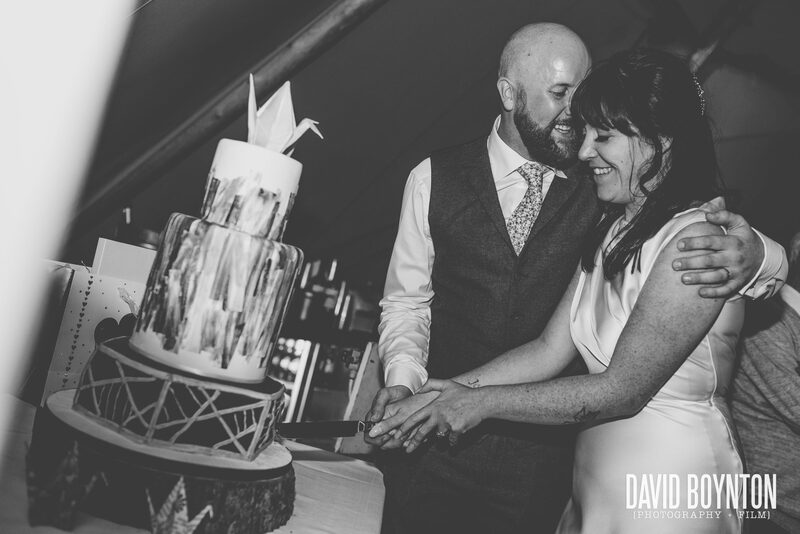 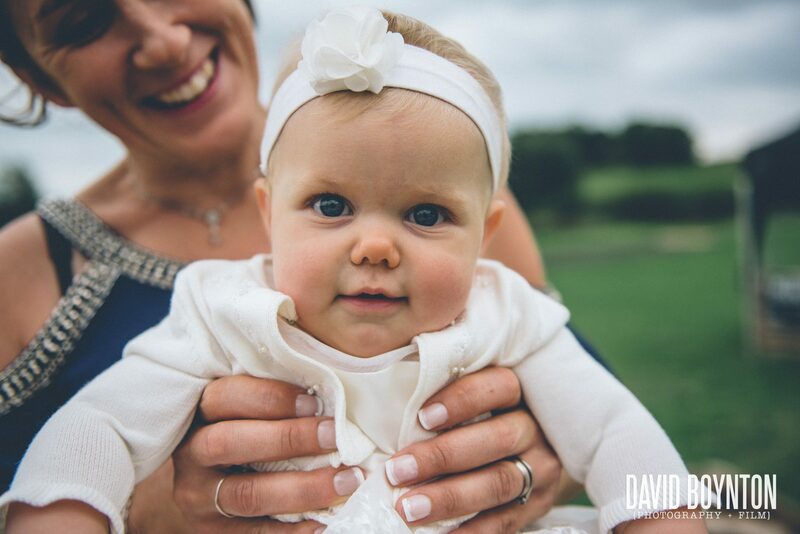 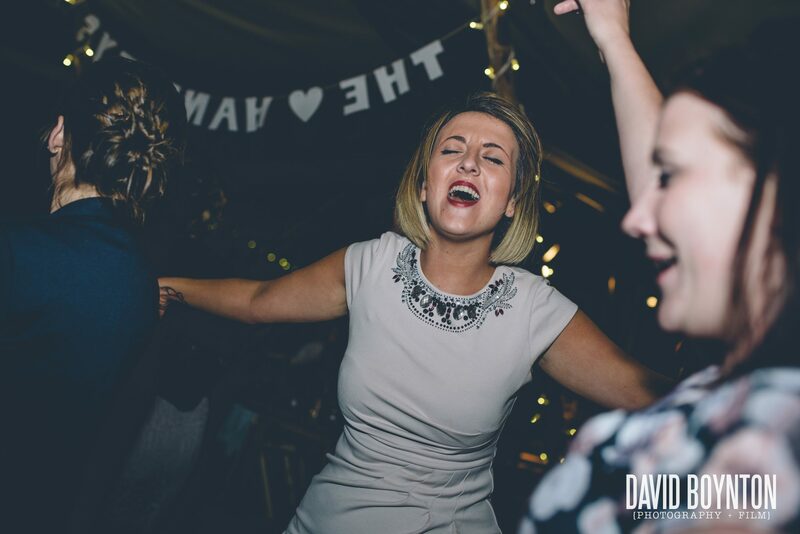 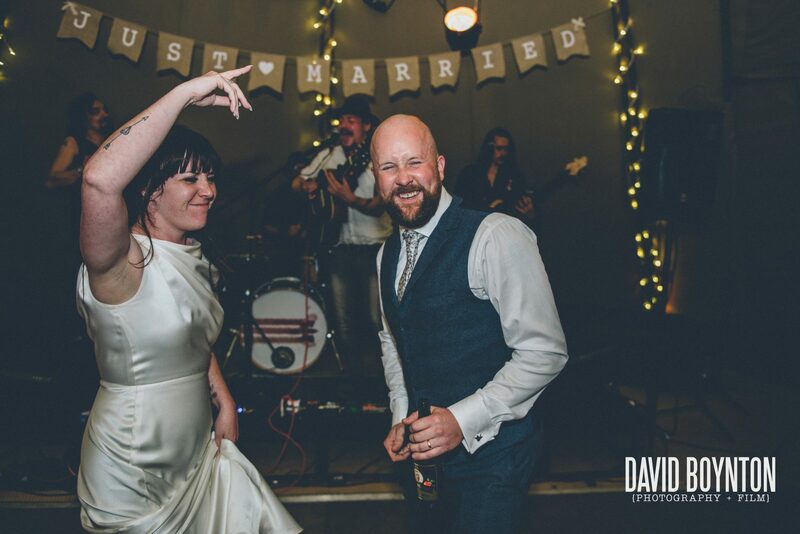 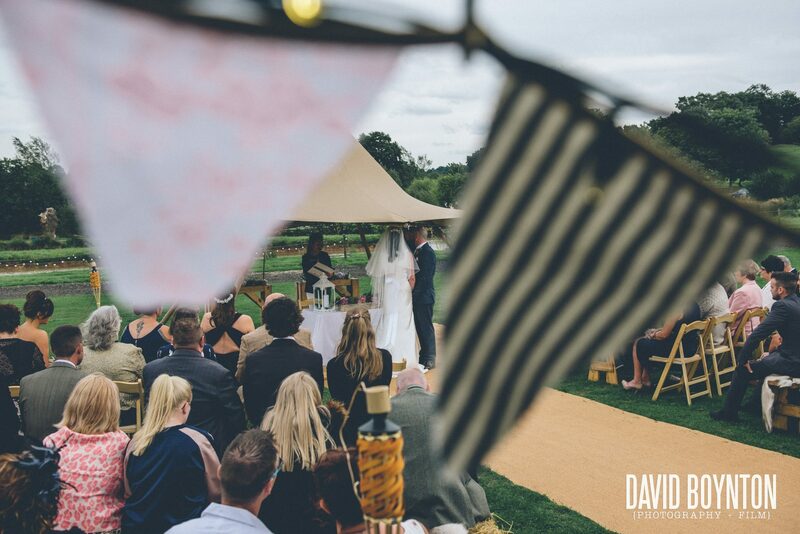 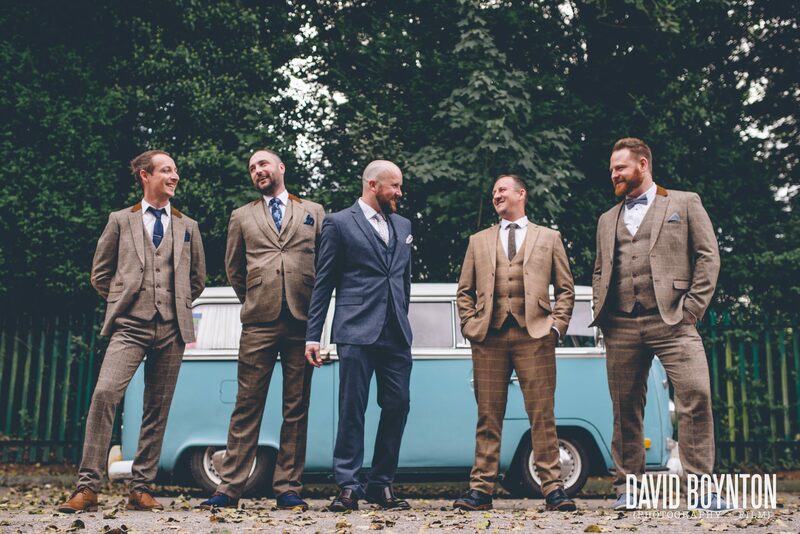 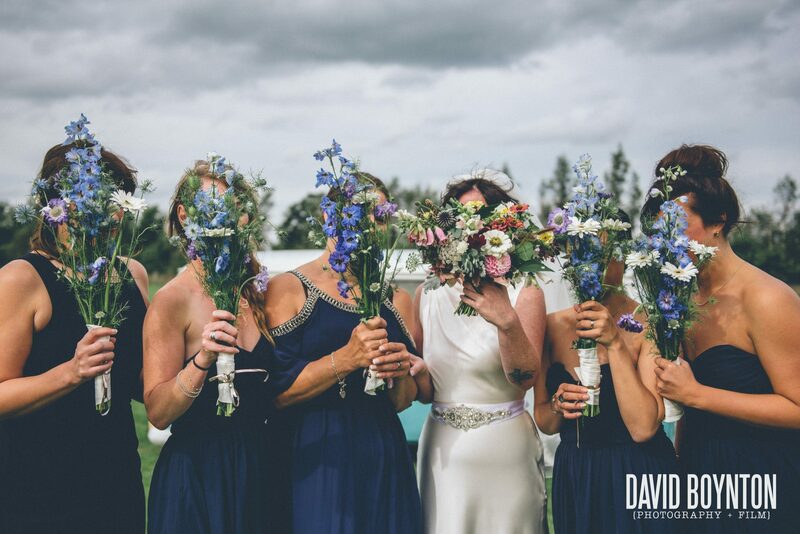 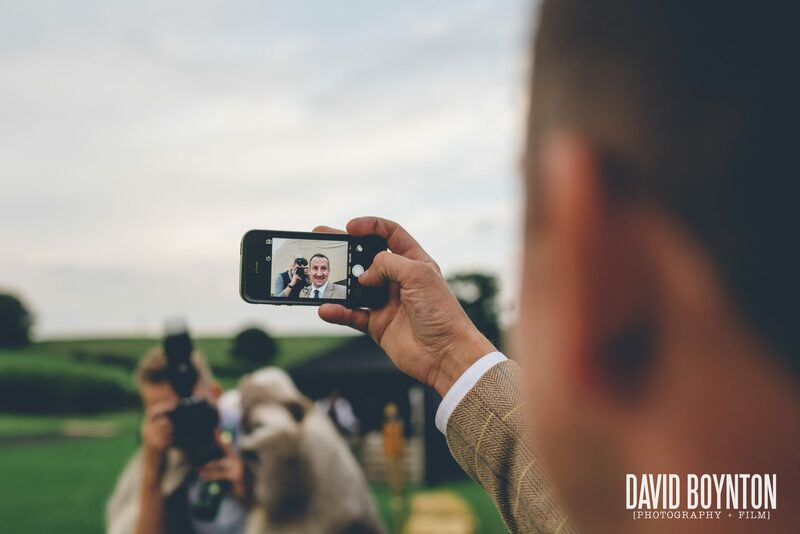 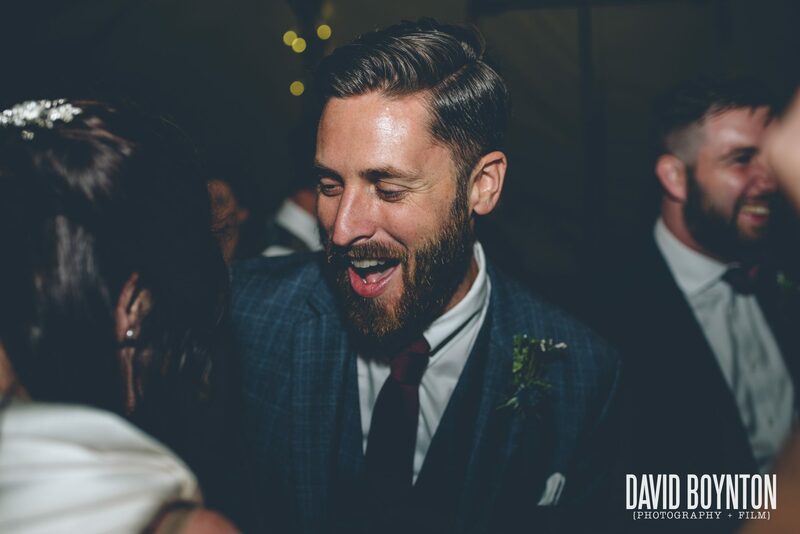 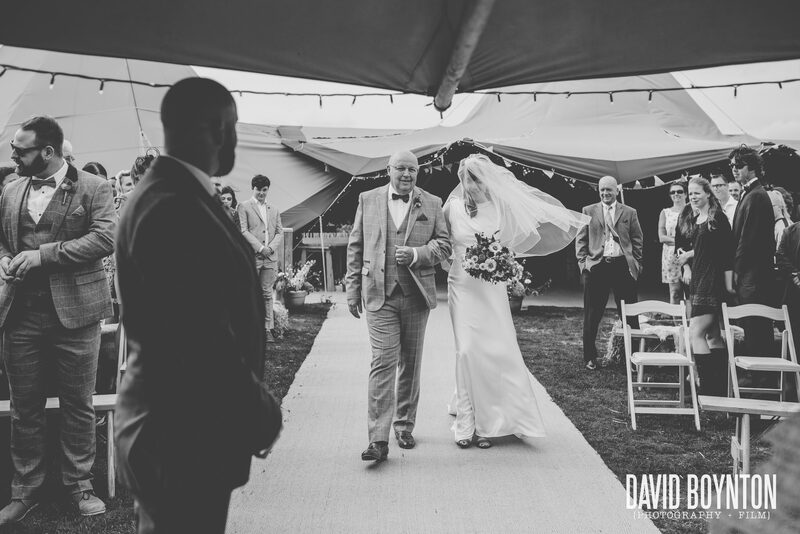 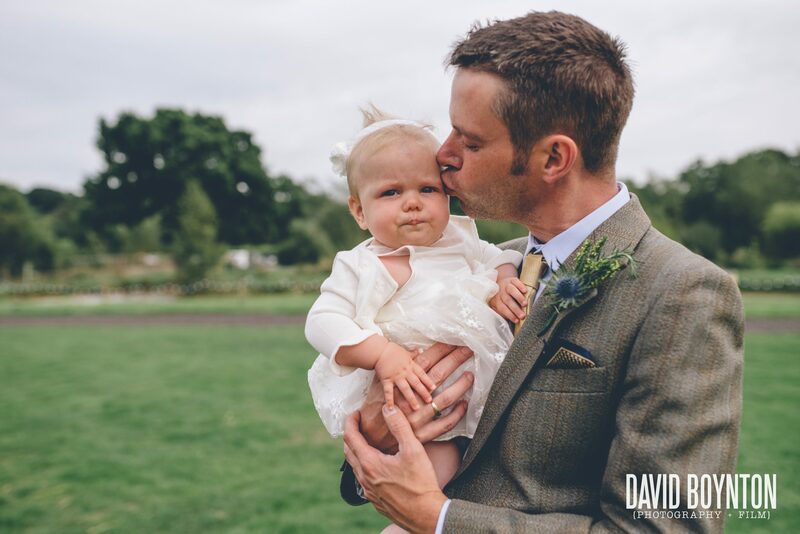 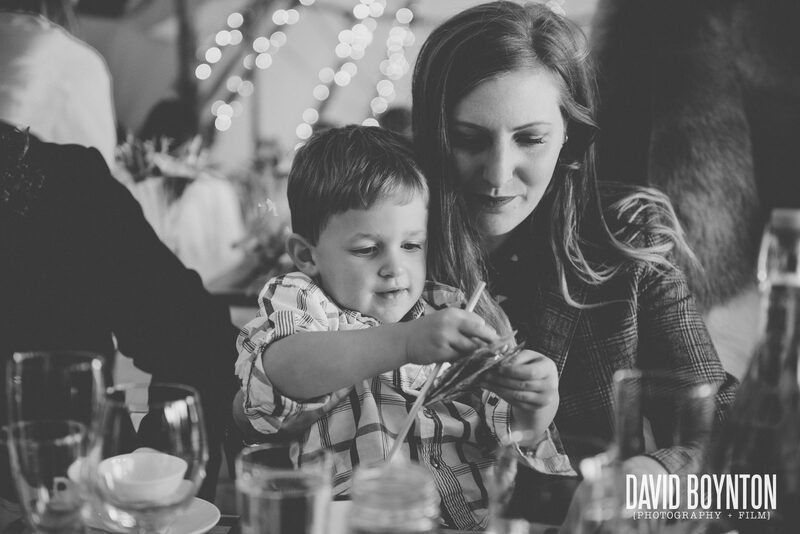 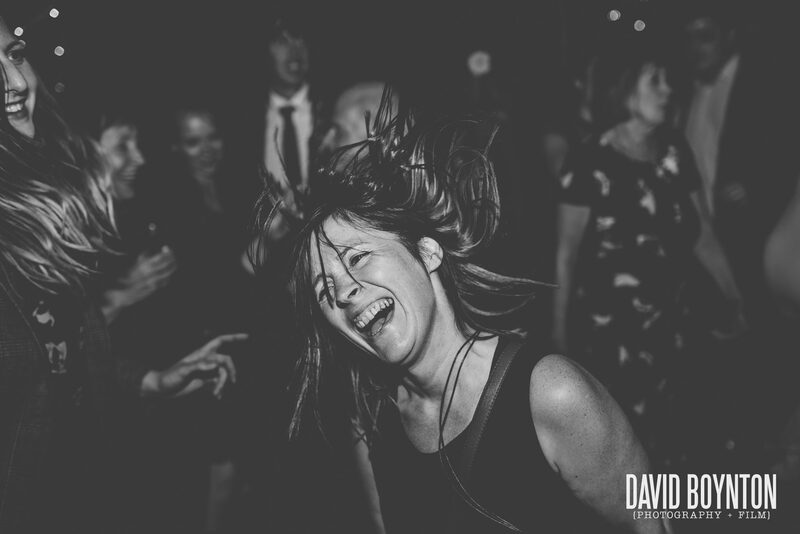 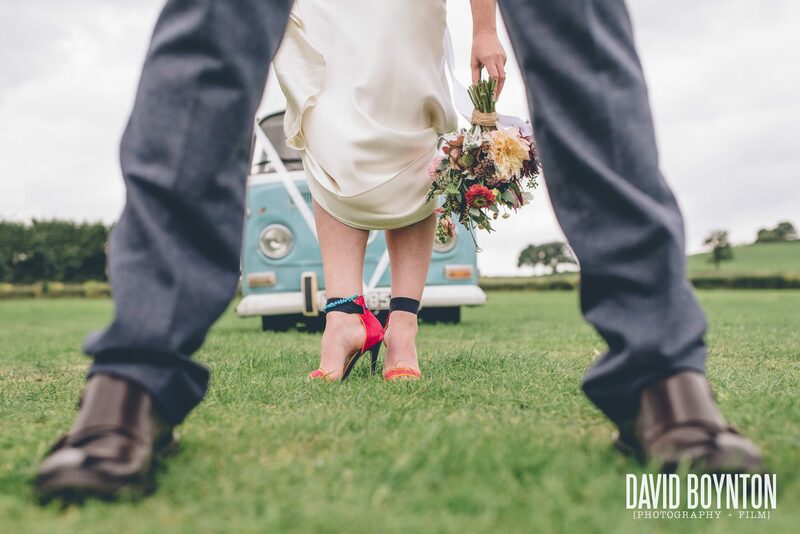 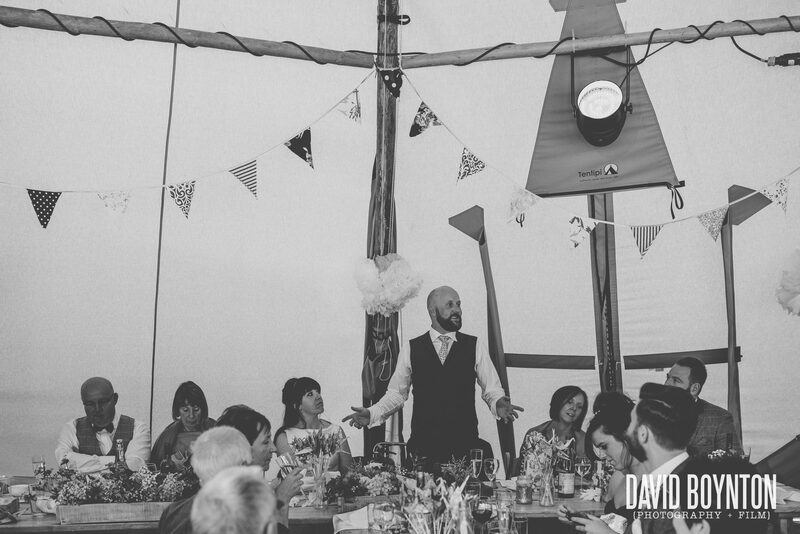 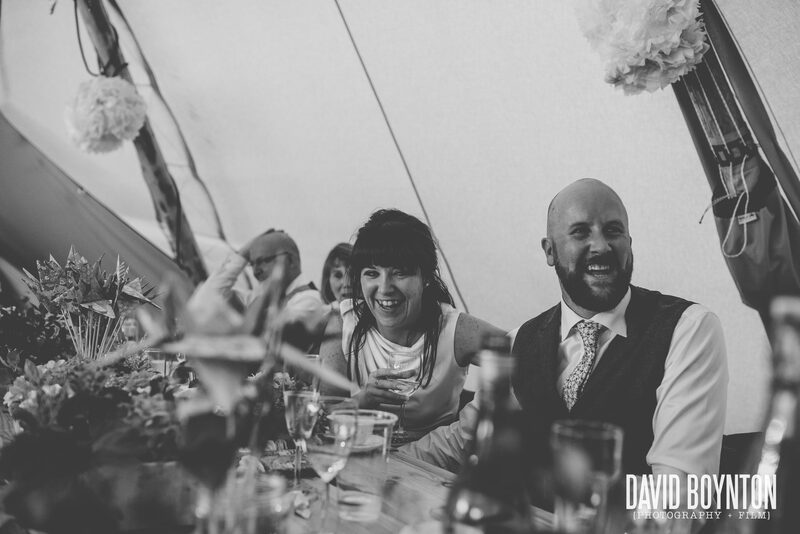 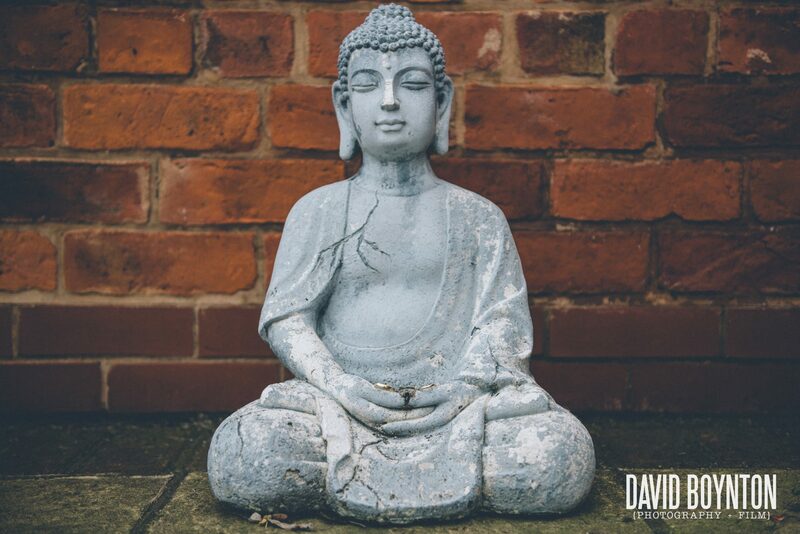 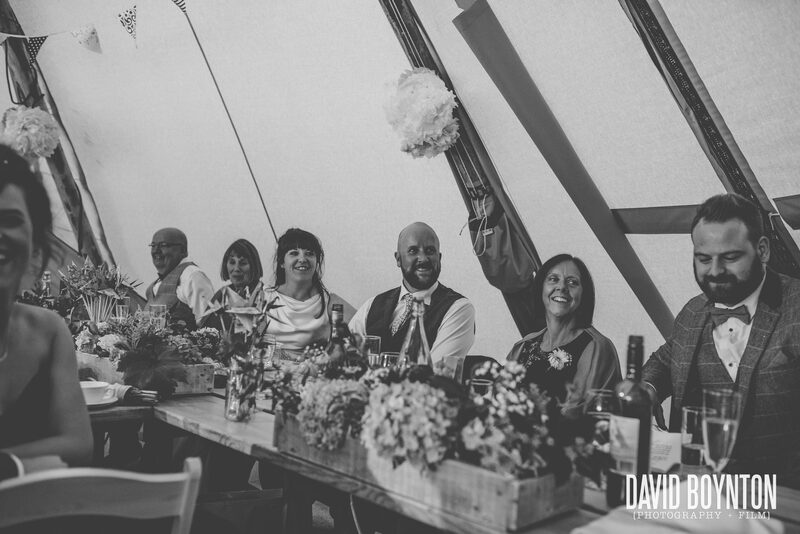 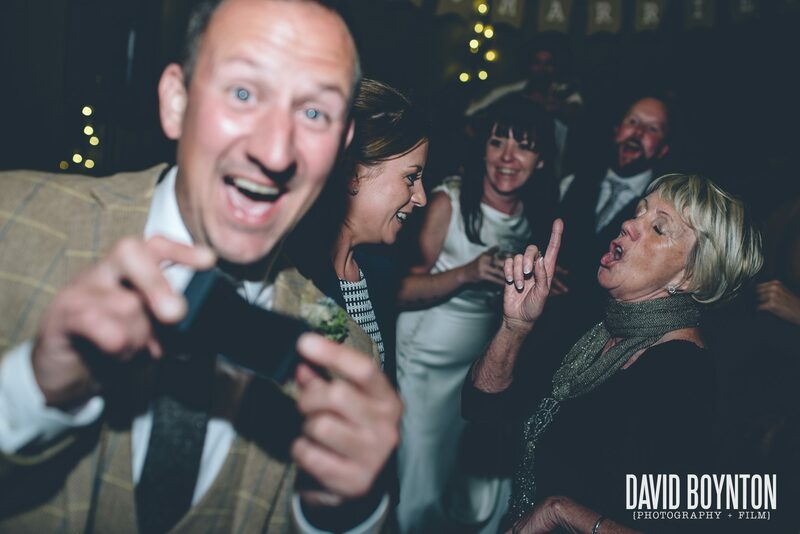 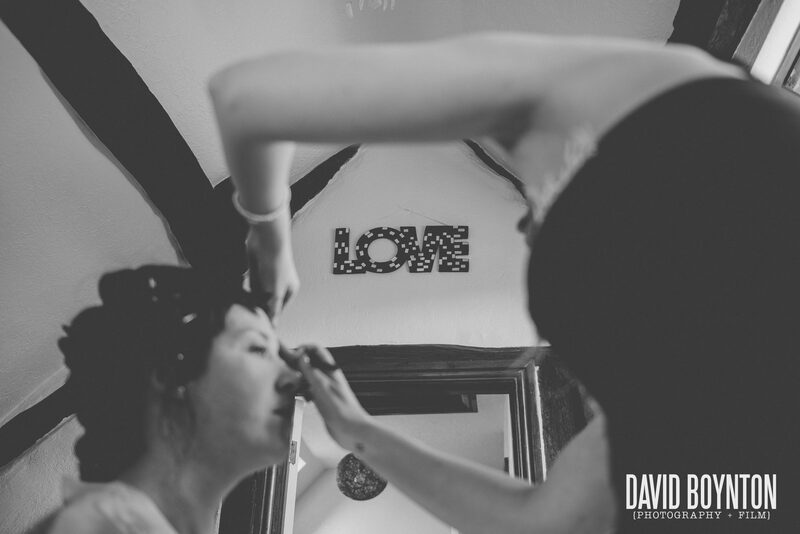 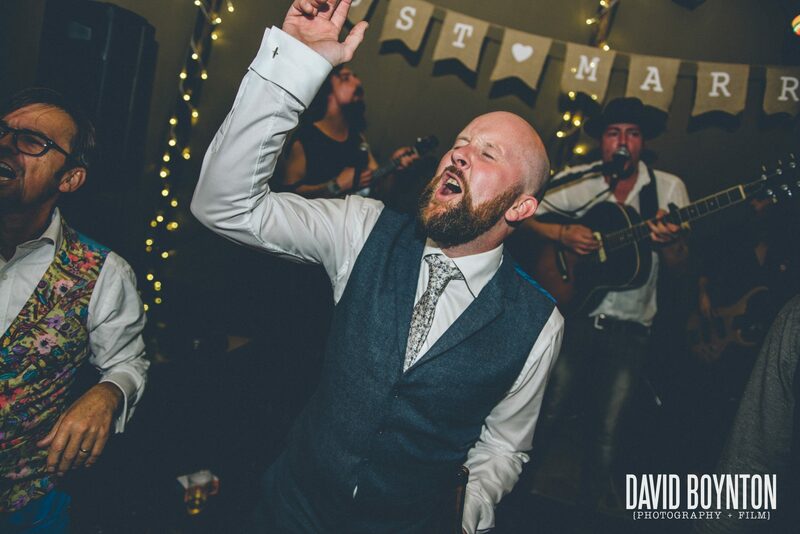 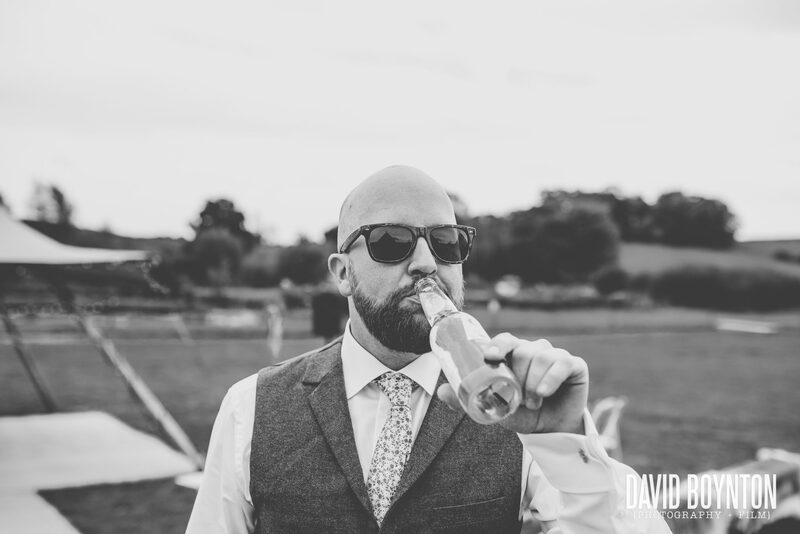 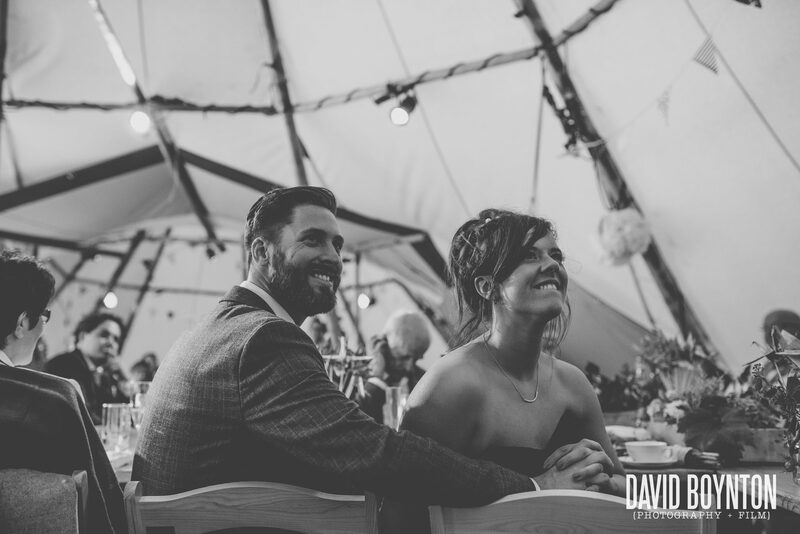 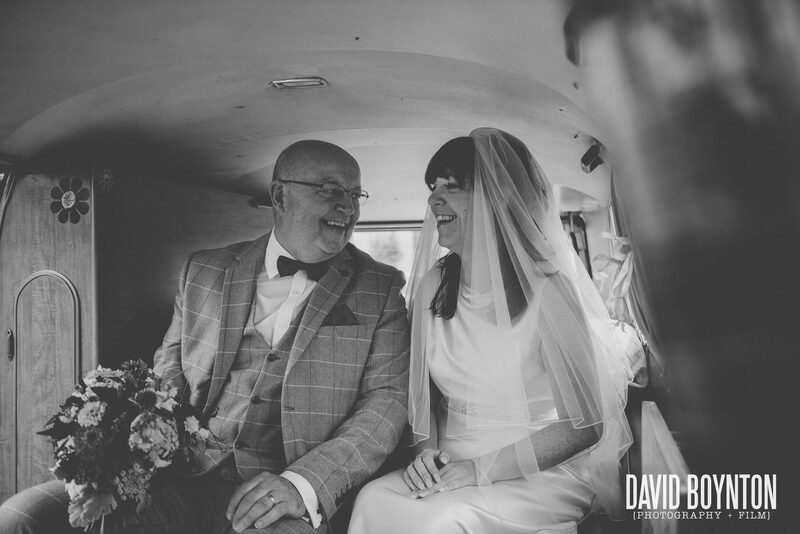 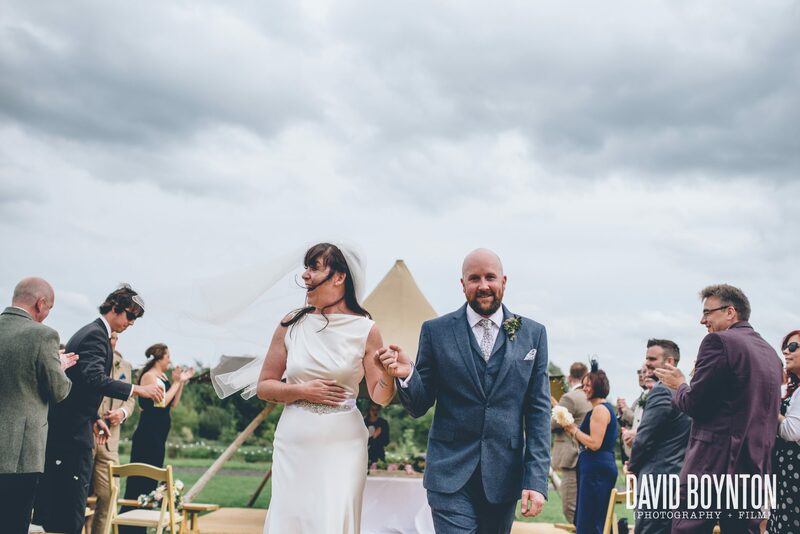 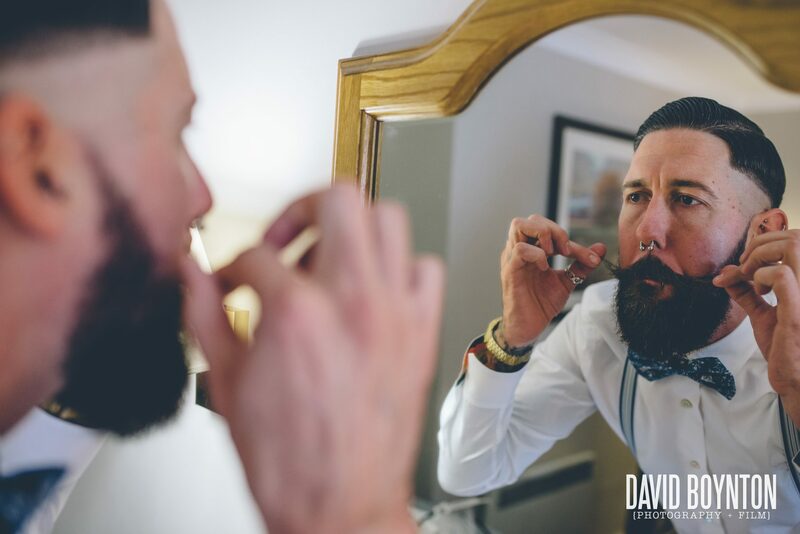 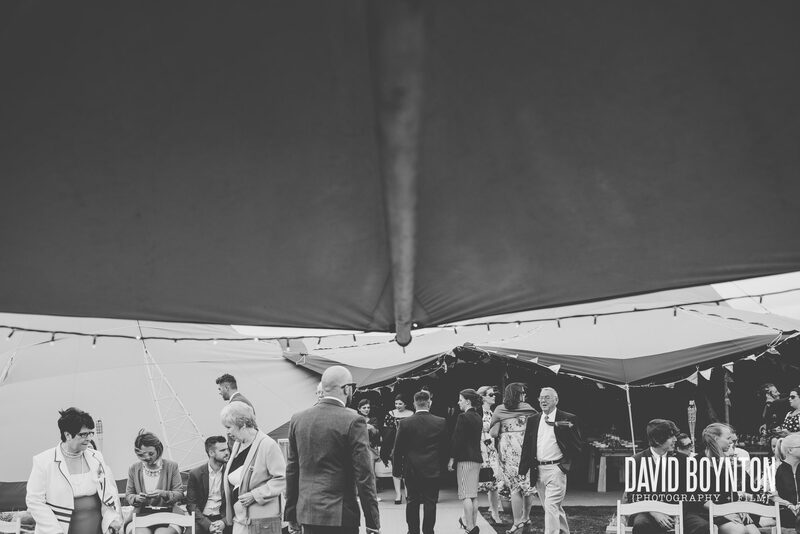 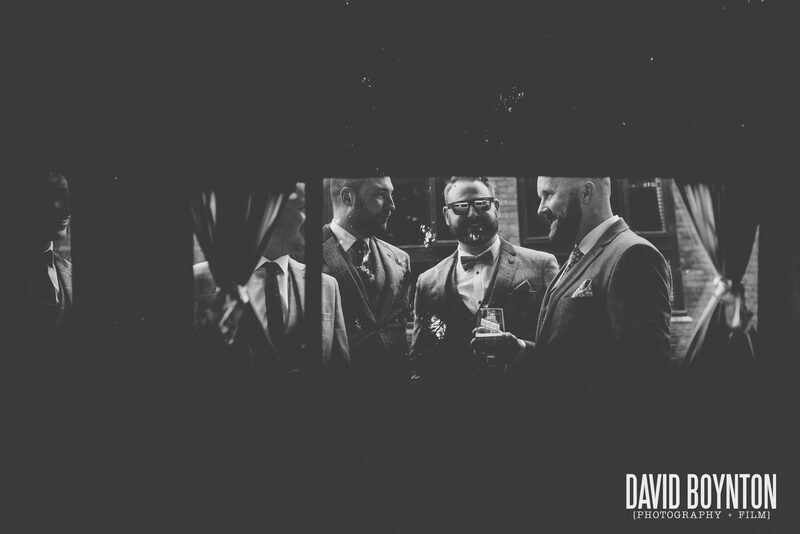 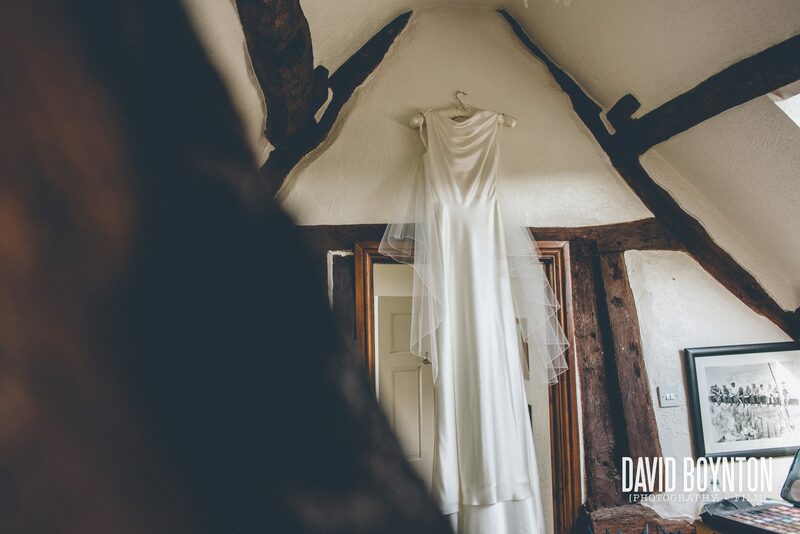 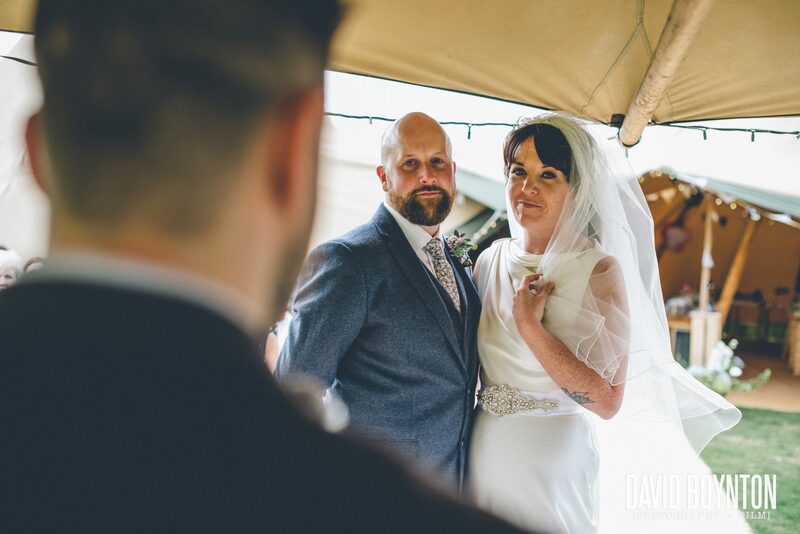 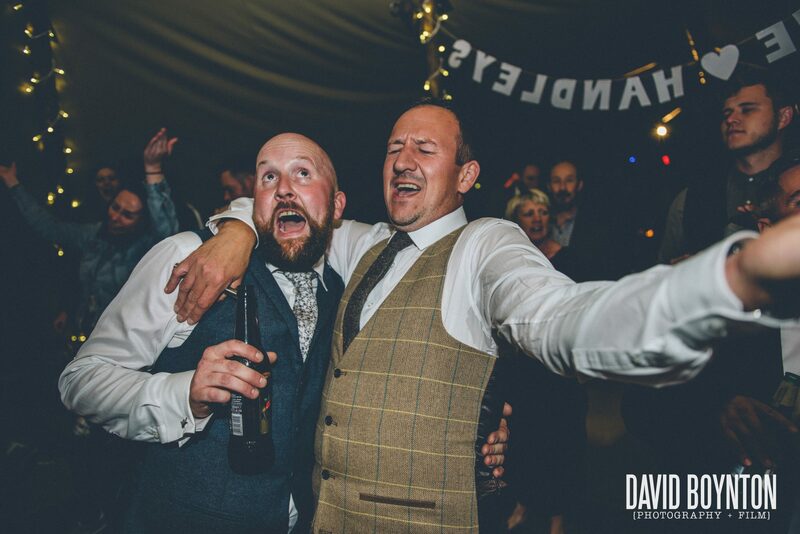 Laura and Wayne tied the knot at the awesome, Alcott Farm in Worcestershire. 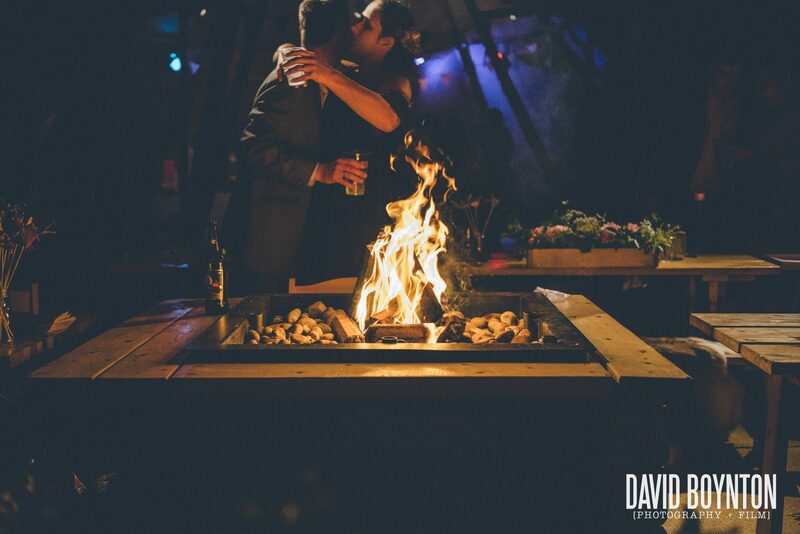 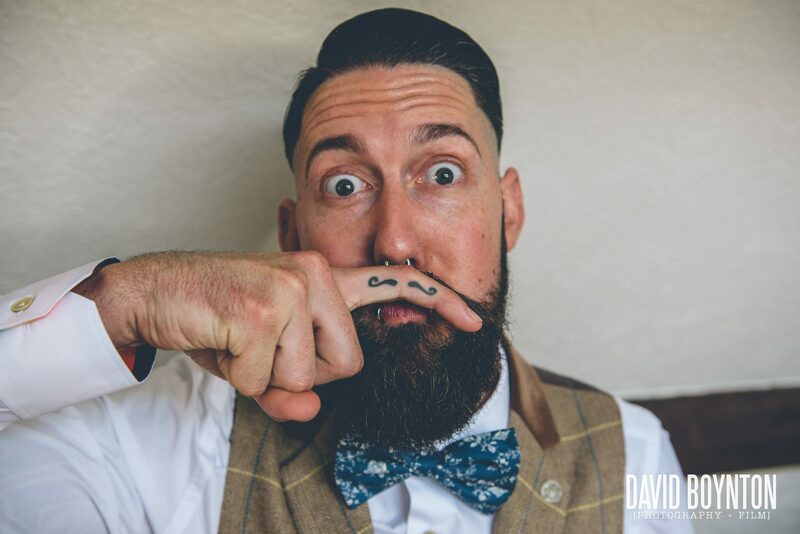 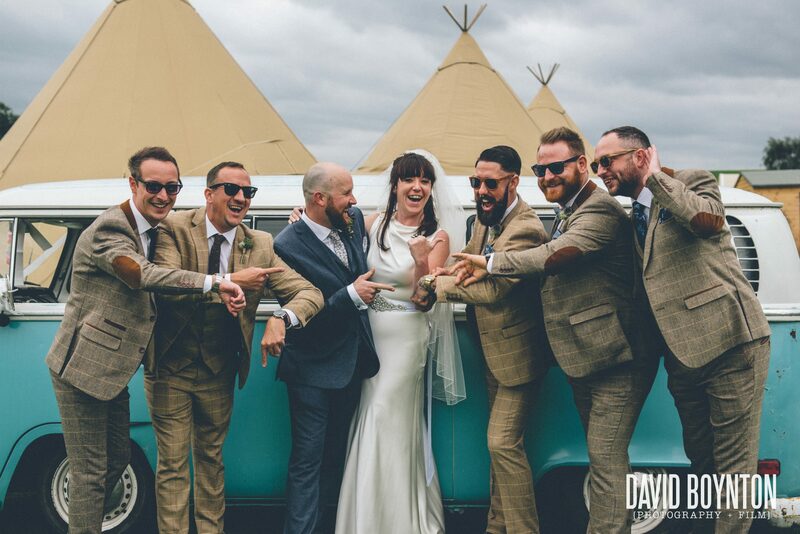 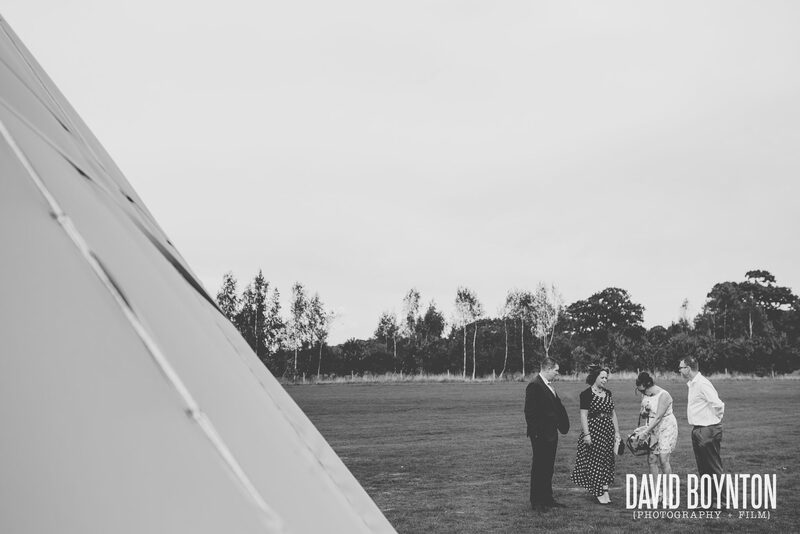 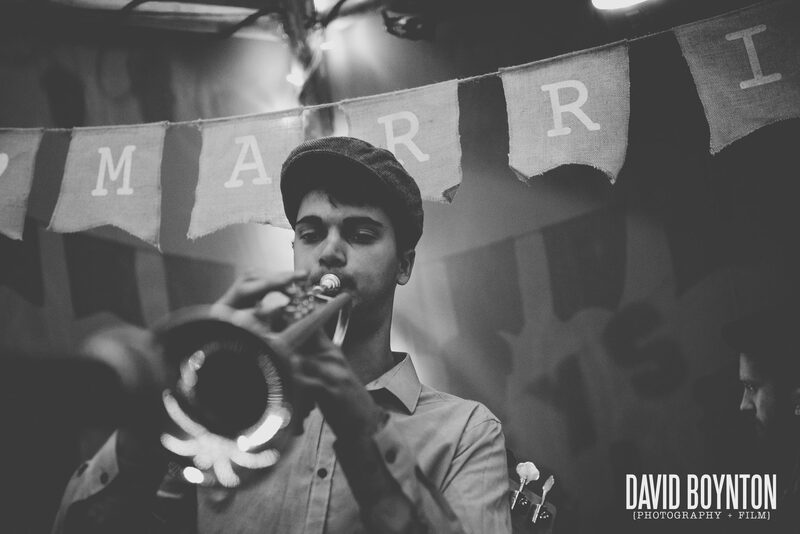 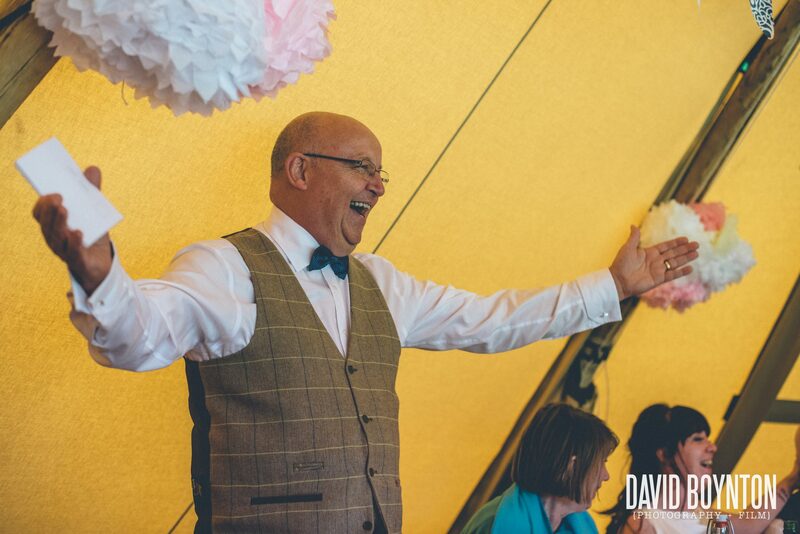 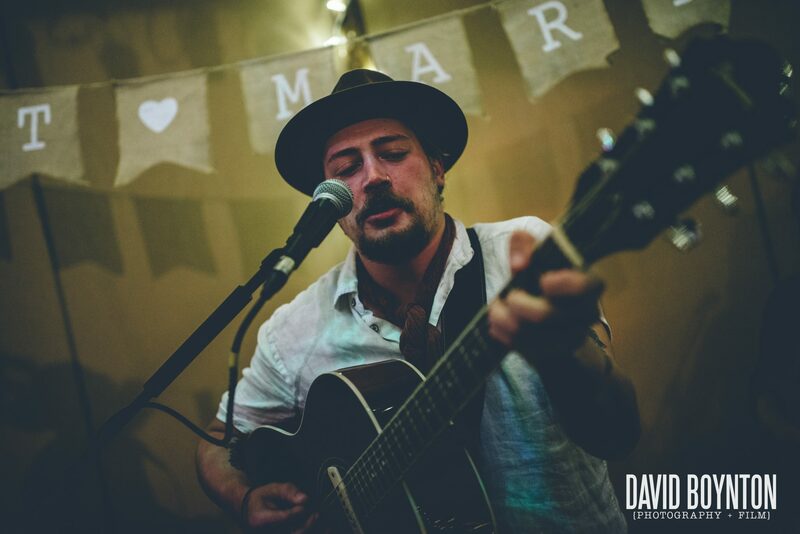 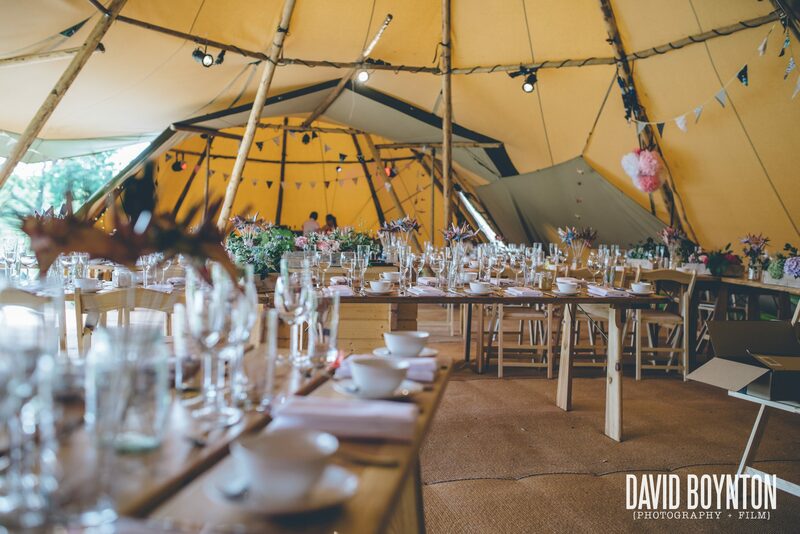 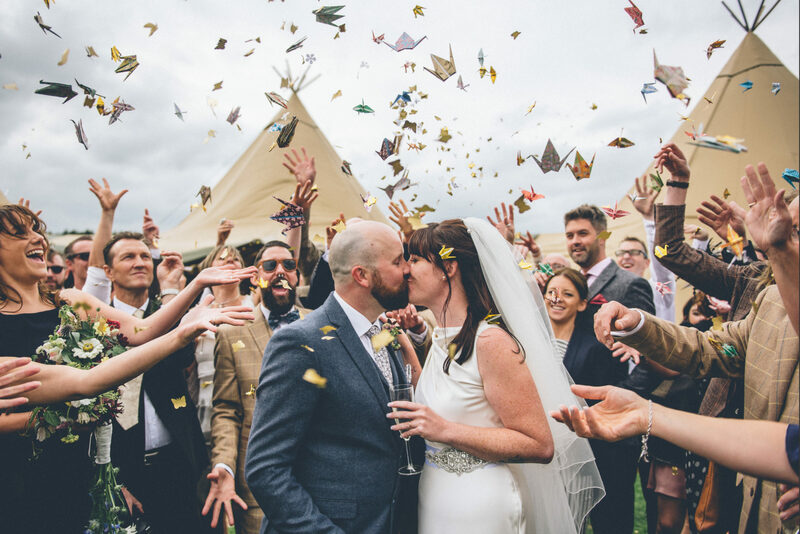 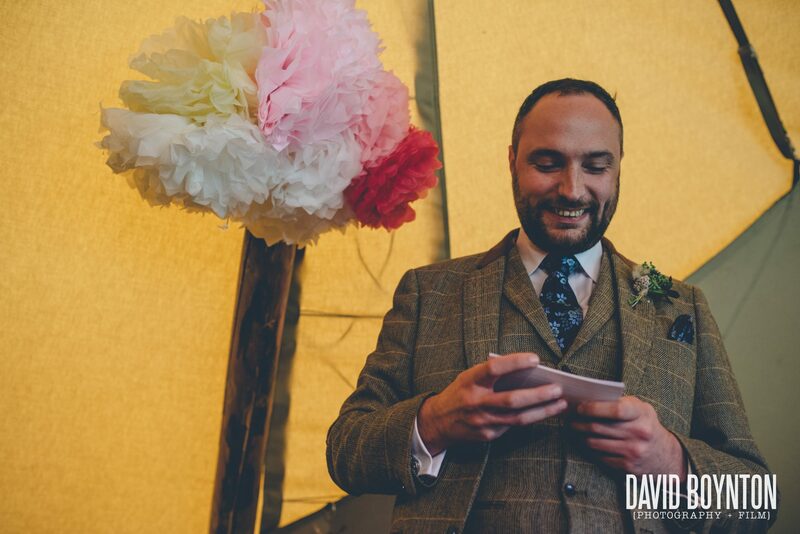 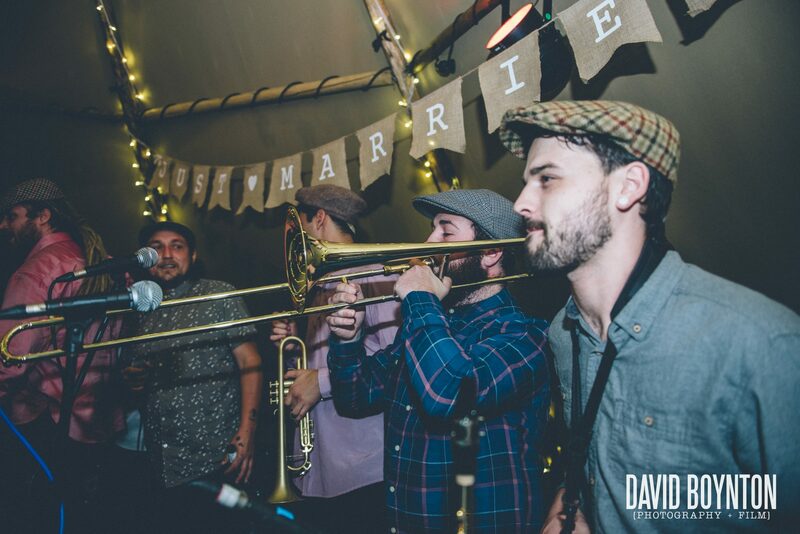 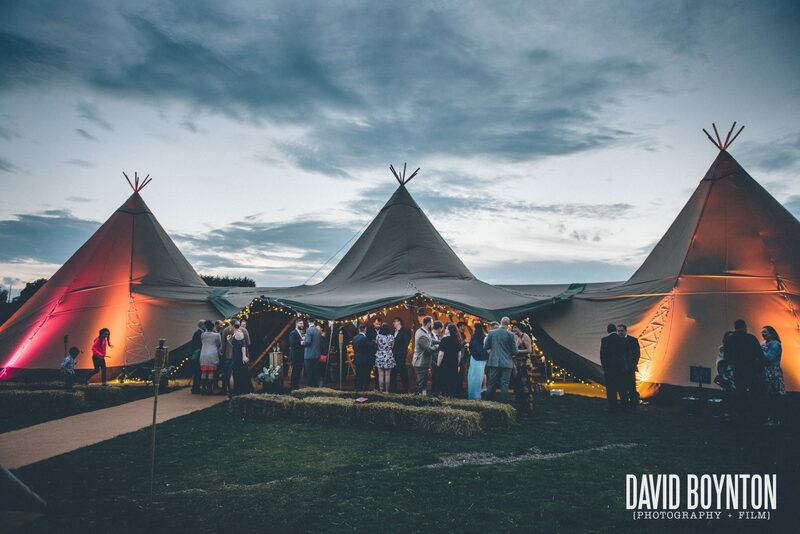 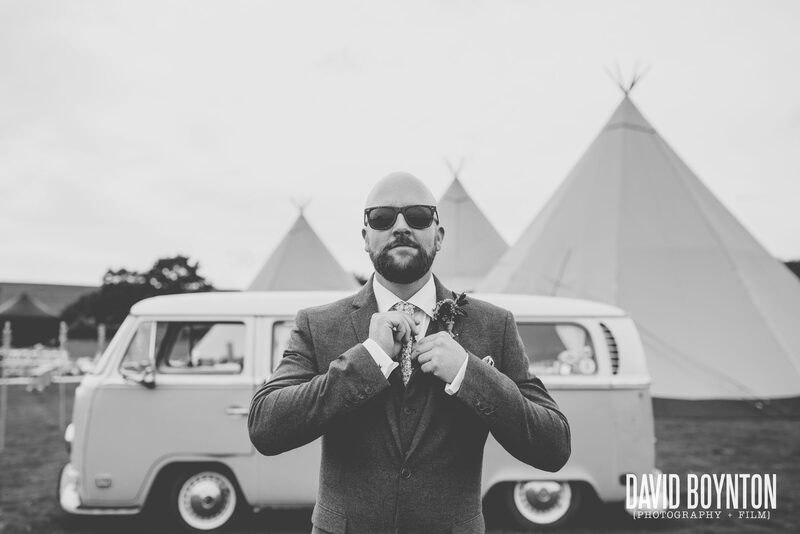 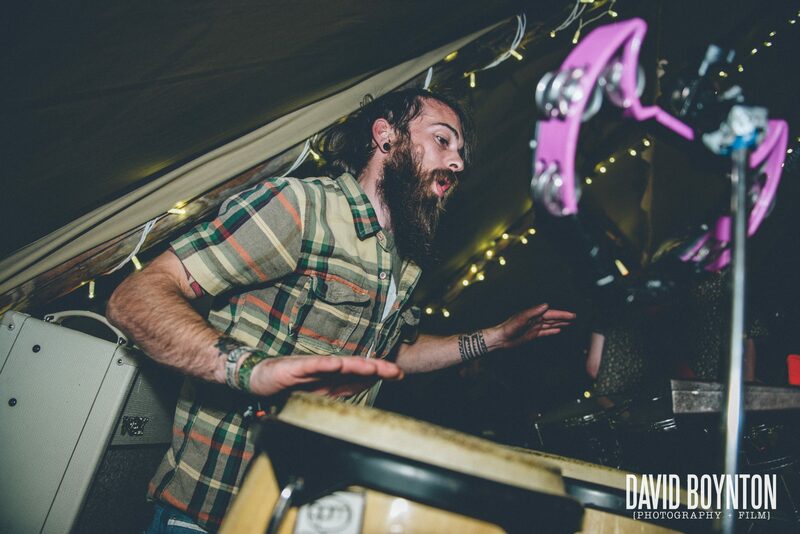 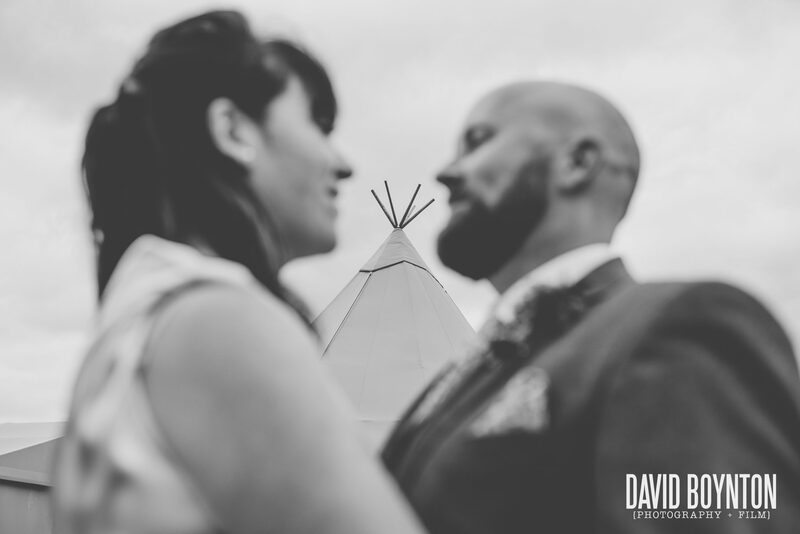 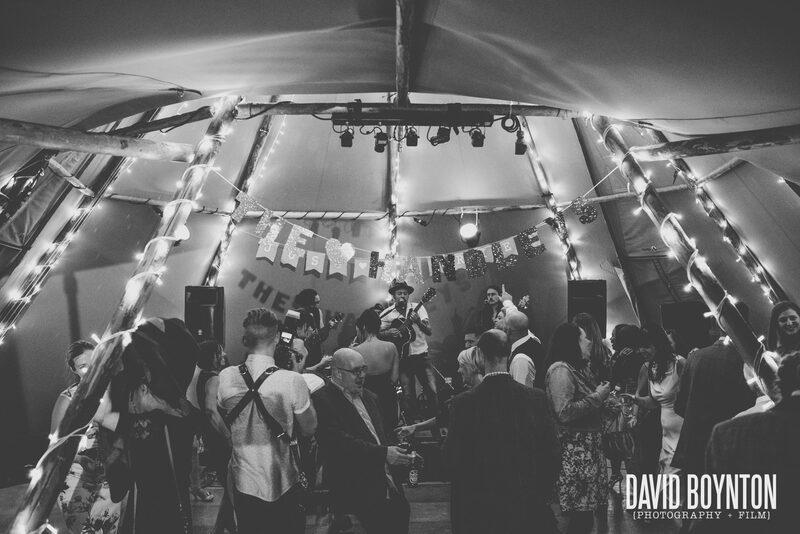 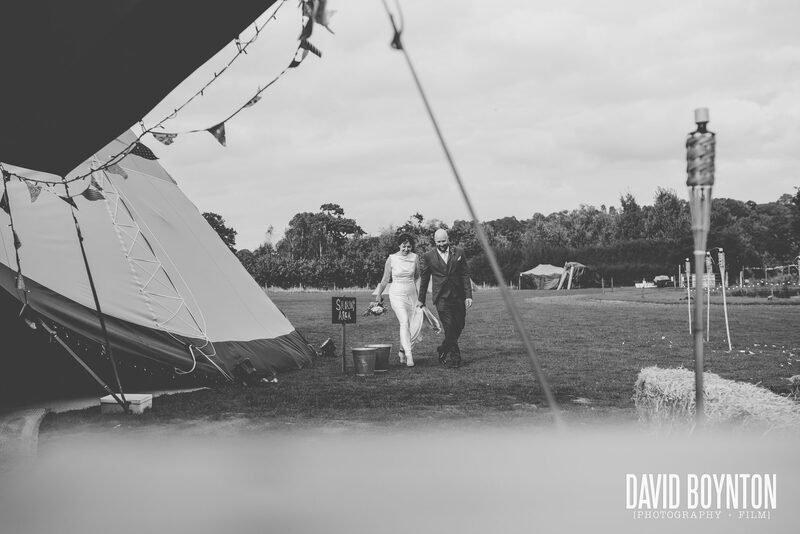 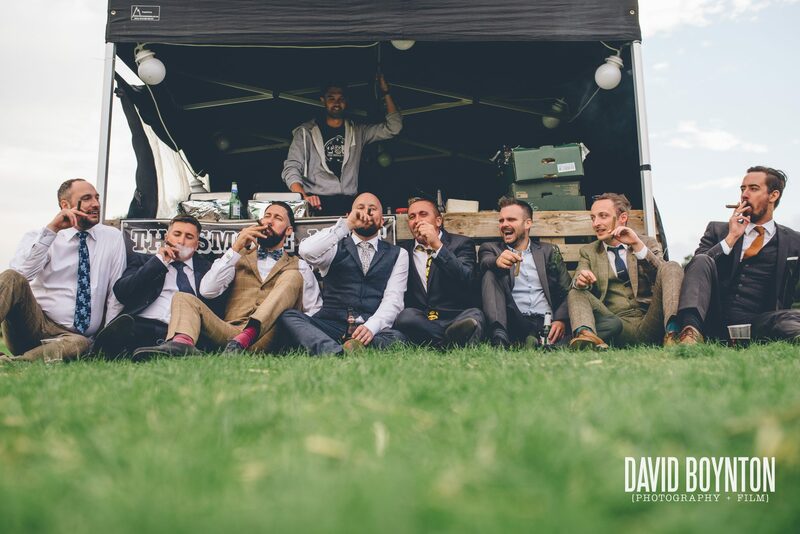 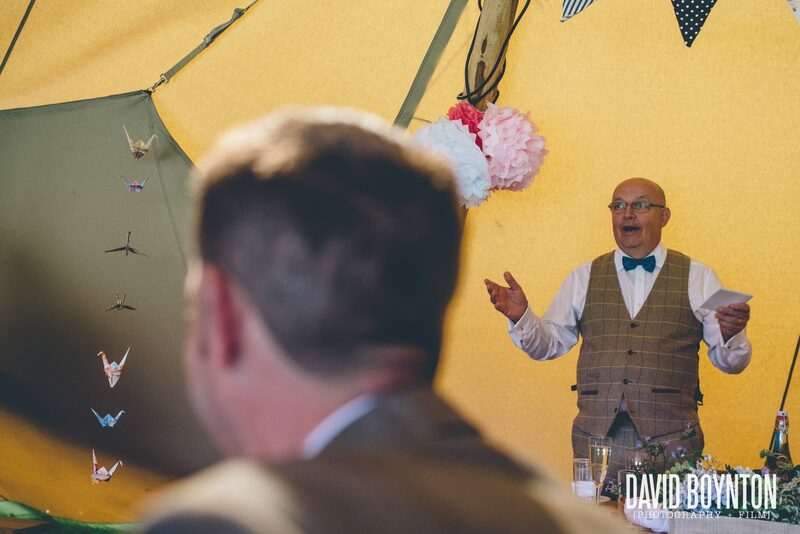 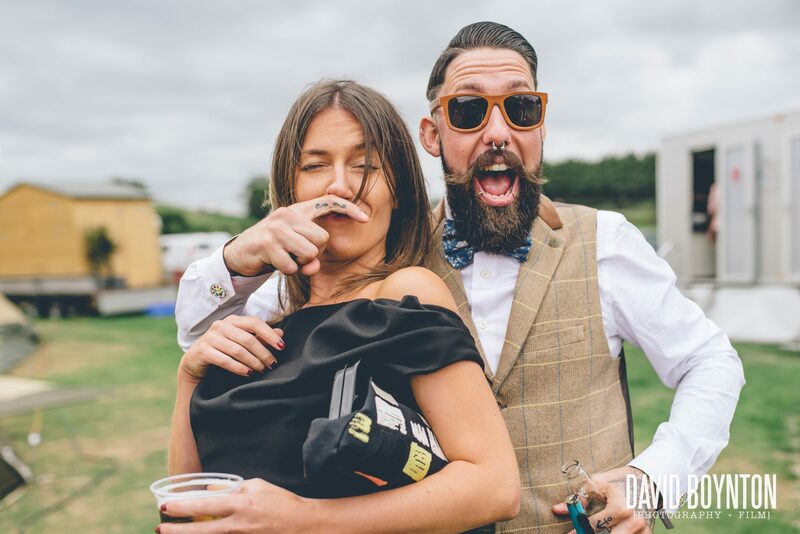 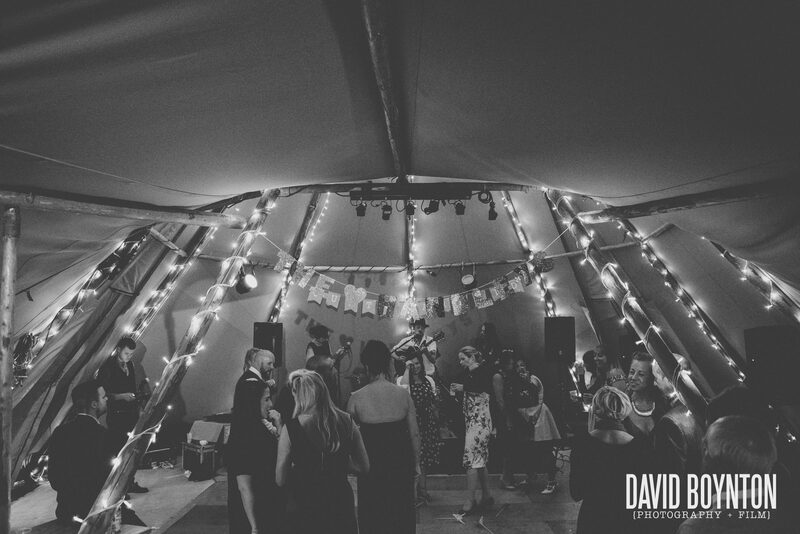 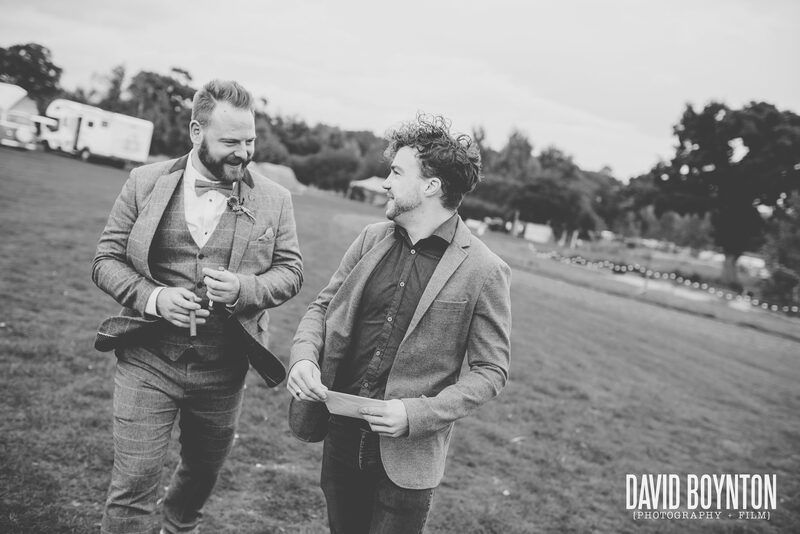 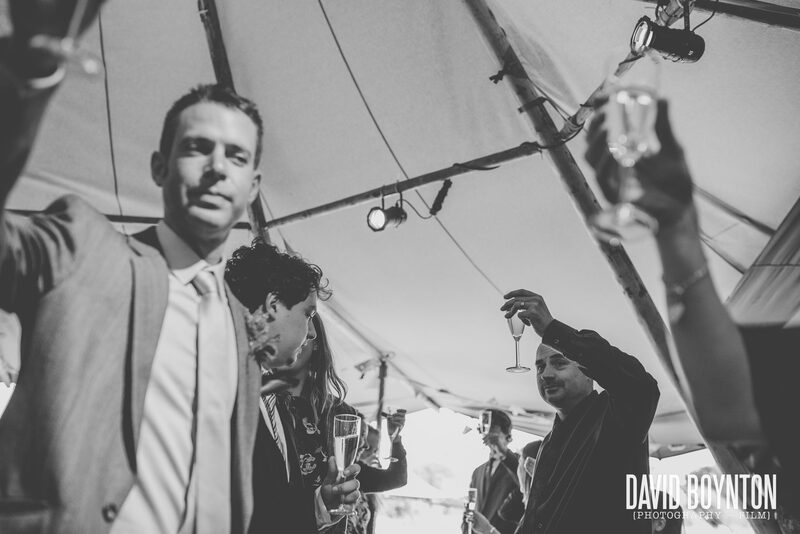 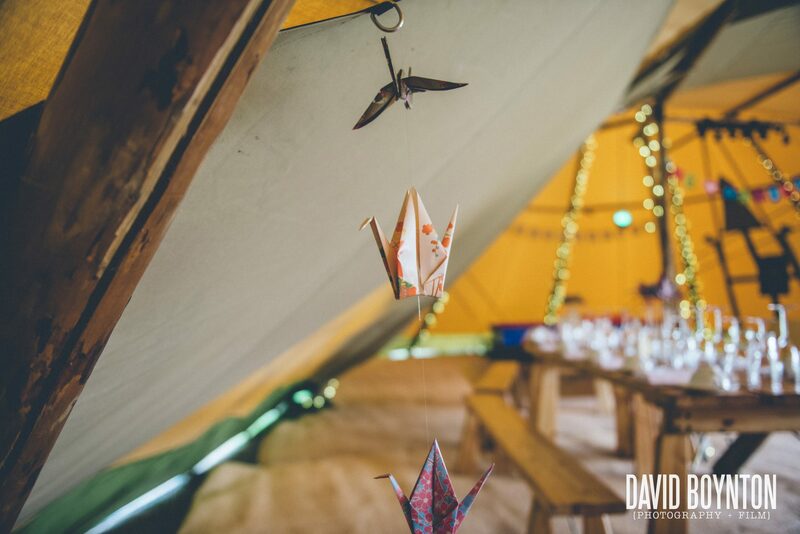 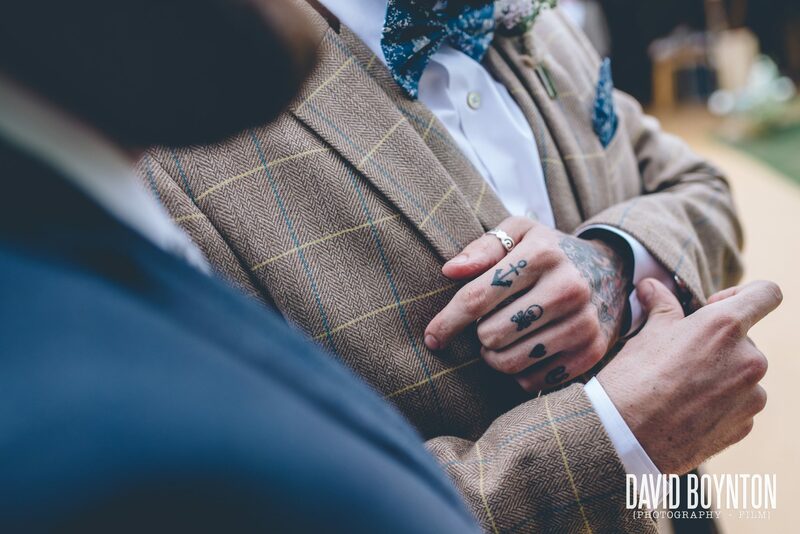 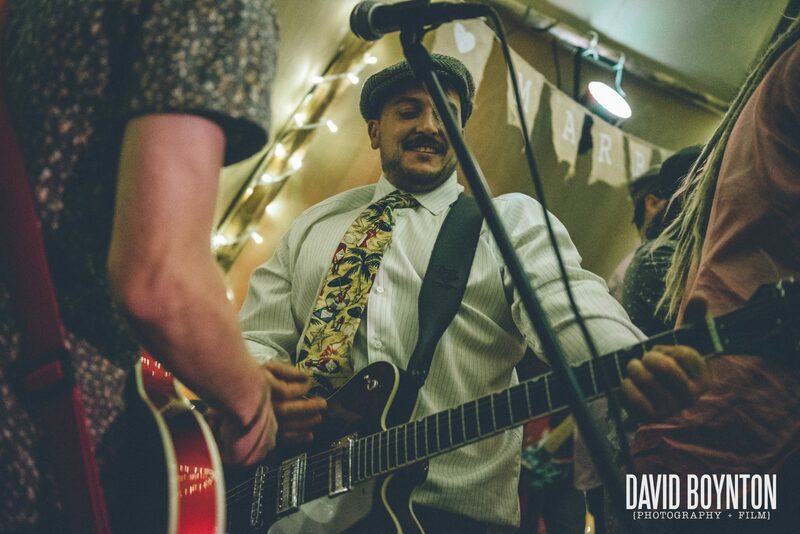 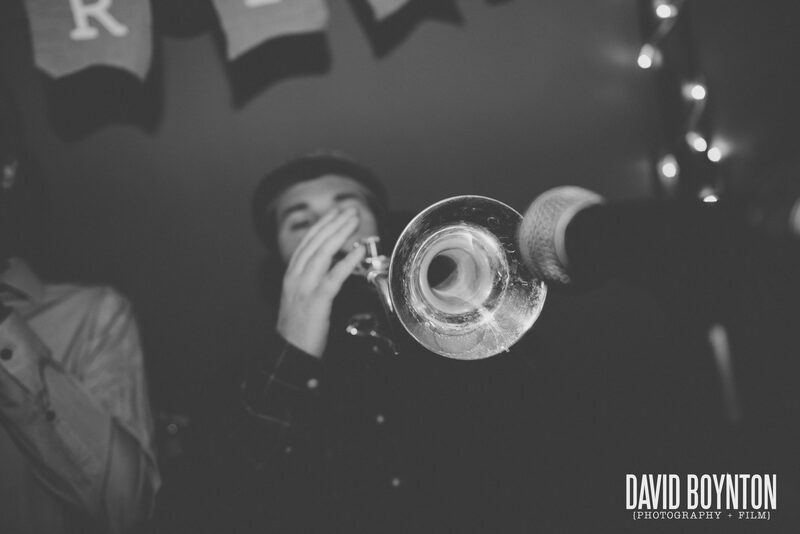 It provided the ideal backdrop for their super quirky, DIY, tipi, festival styled wedding. 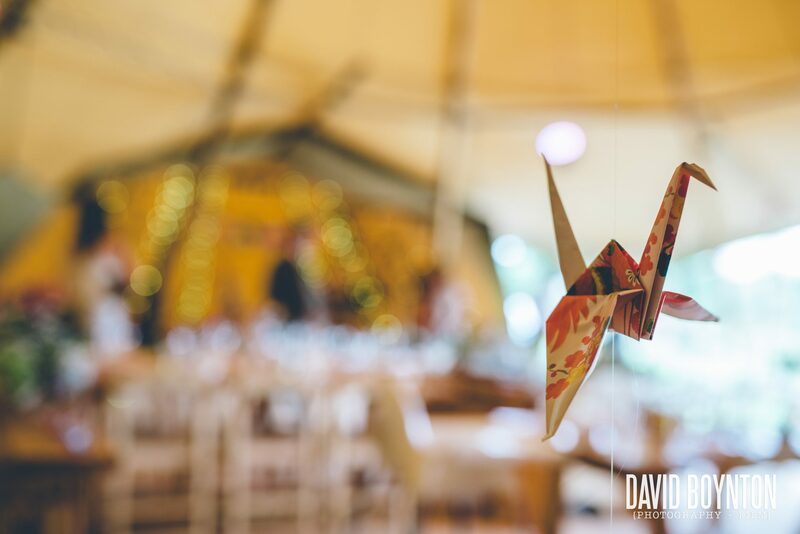 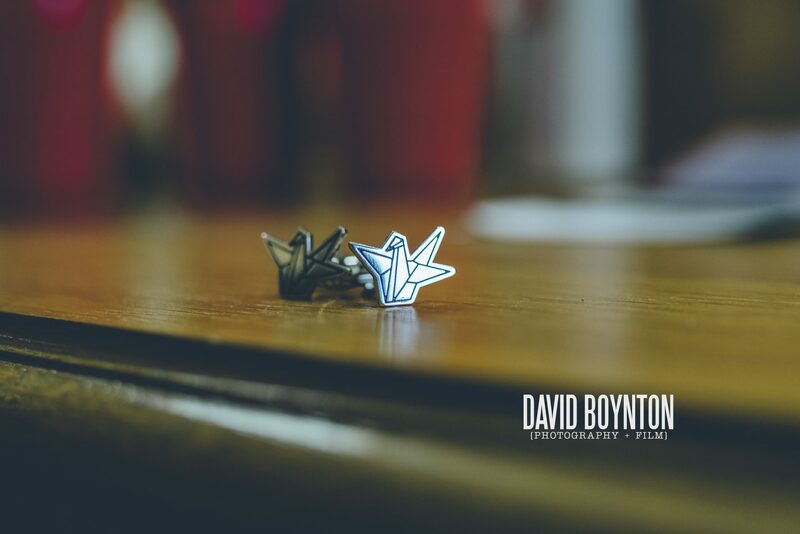 The weather stayed kind and the couple we able to marry outside in the company of their friends and family, and thousands of origami cranes…All hand crafted by Laura. 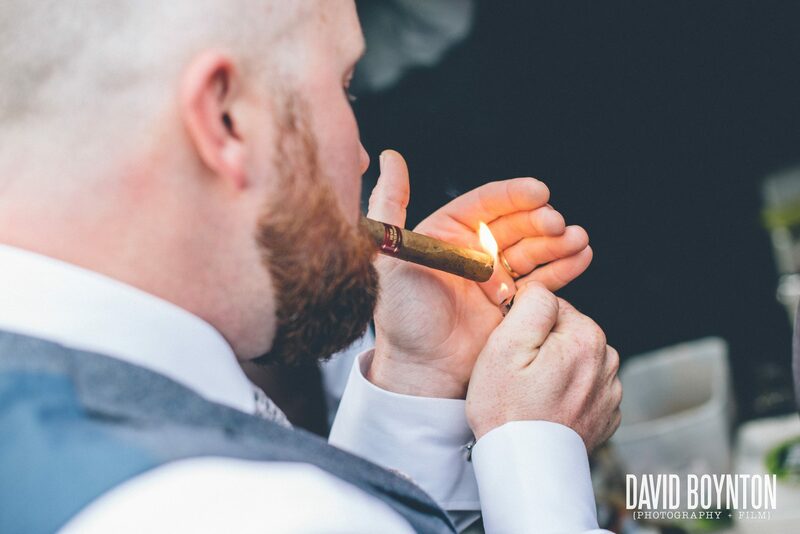 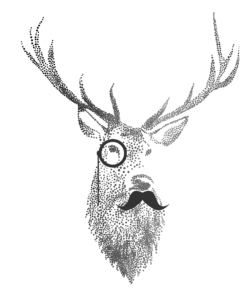 Now that’s commitment! They also proved to be a great confetti alternative, which looked incredible in the photographs. 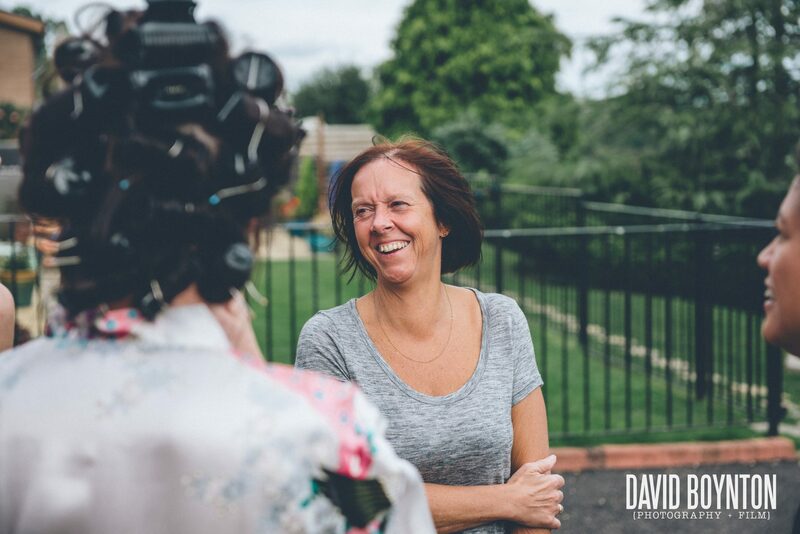 Laura and Wayne were so relaxed on camera. 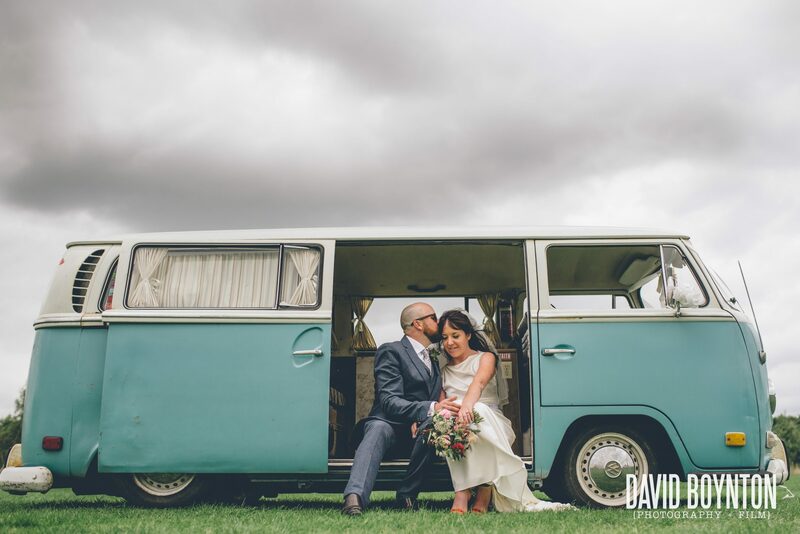 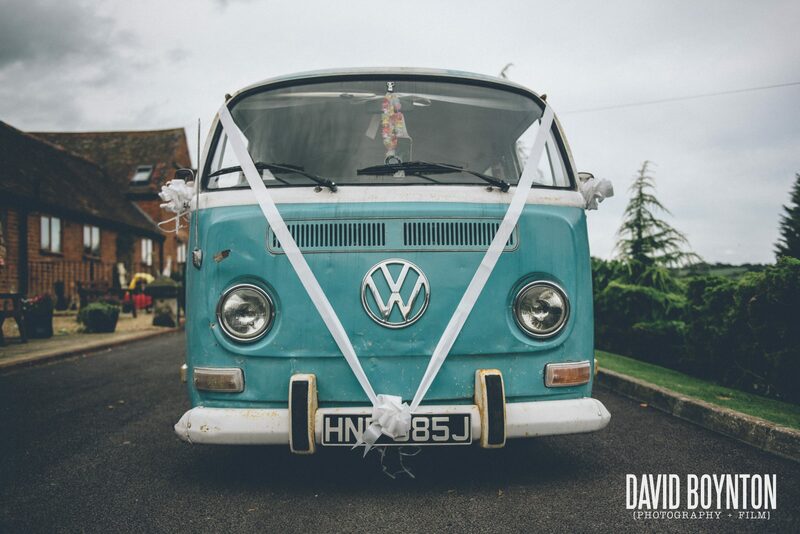 Their photos were further enhanced by the stunning scenery, funky VW Camper and the tall structure of their tipis, all adding to what was a really unique wedding. 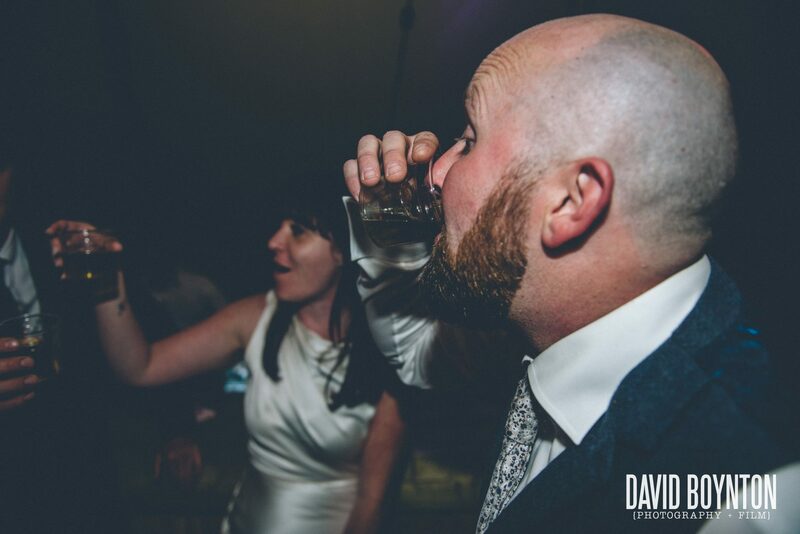 The evening party was as wild as expected. 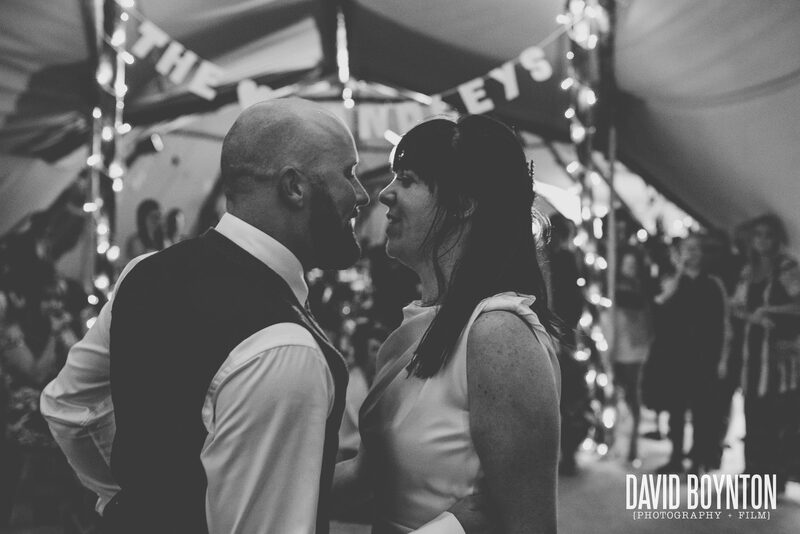 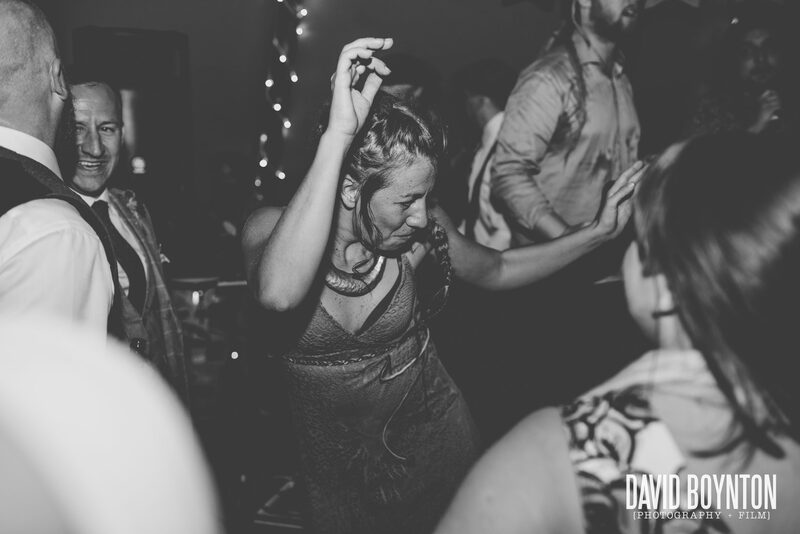 Music lovers Laura and Wayne invited two bands along to make sure that the dance floor was filled all night long. 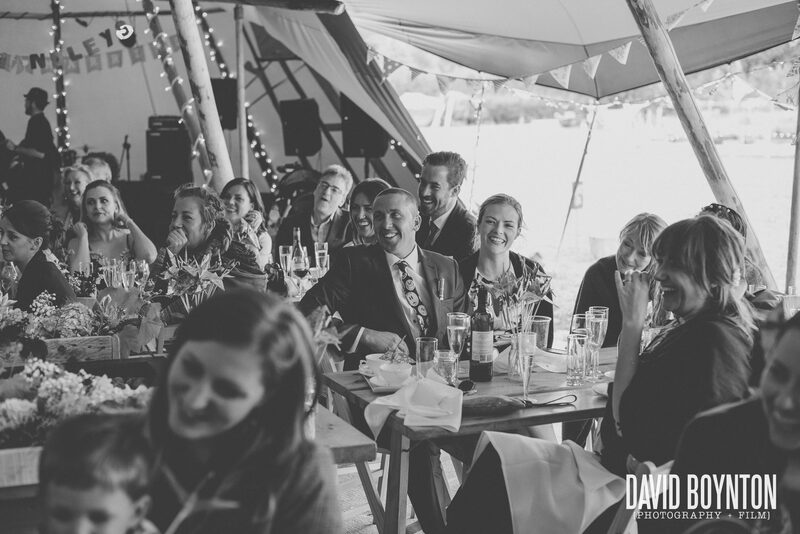 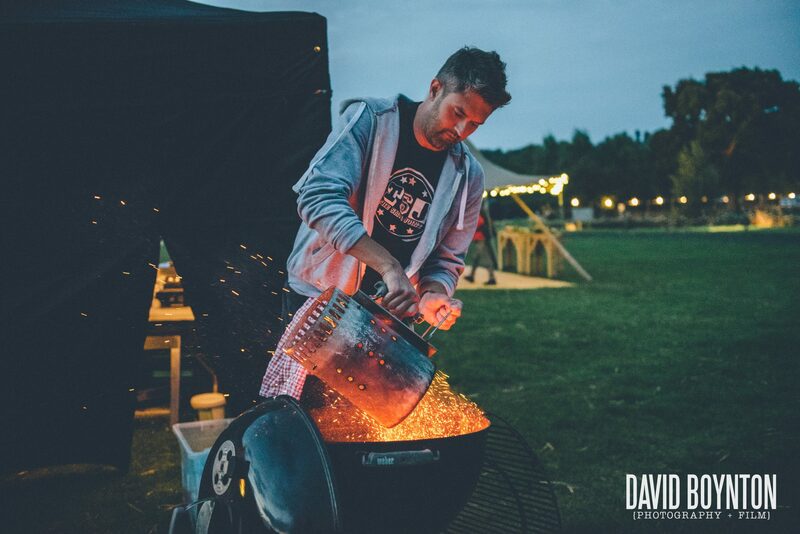 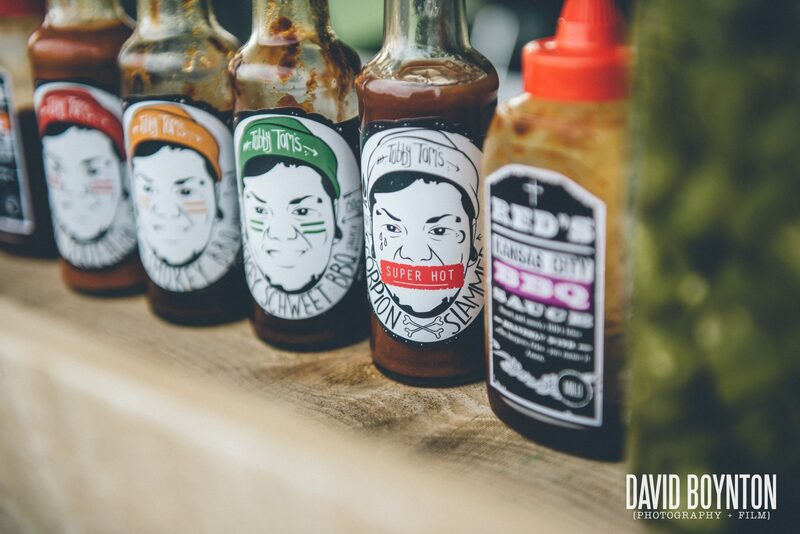 Guests were fed with the couple’s very own smoked barbecue food, which was a huge hit with all.